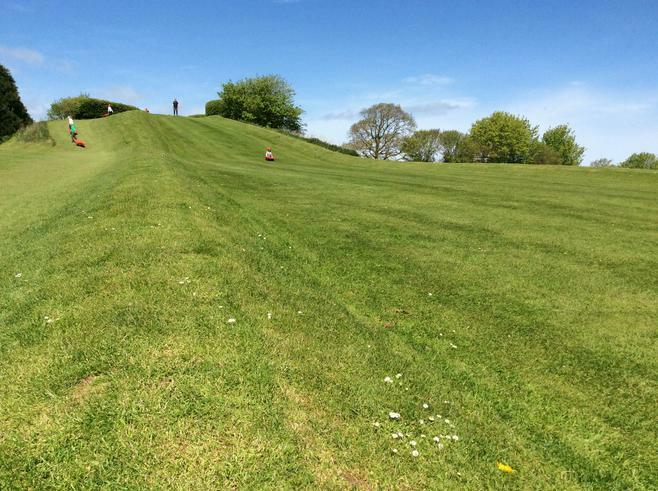 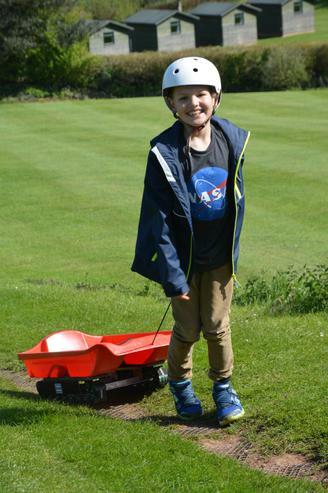 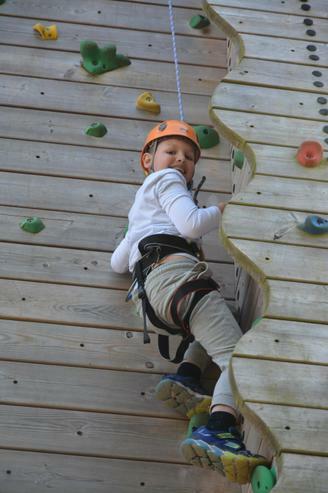 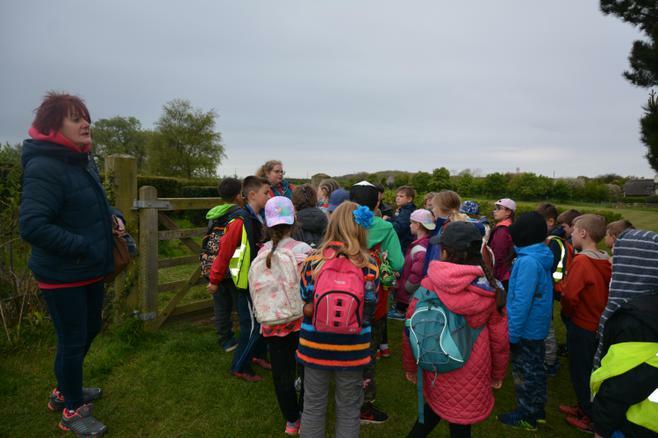 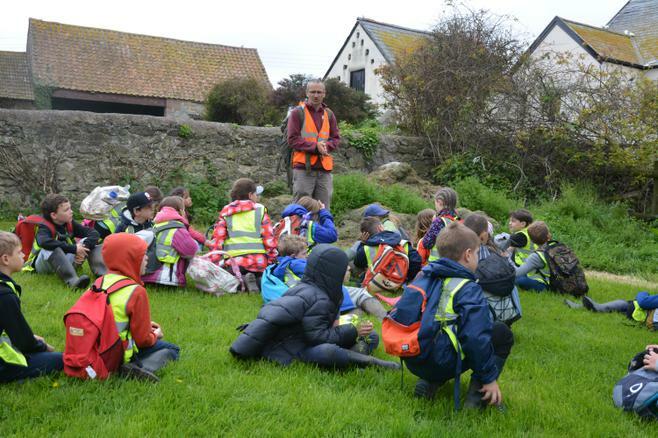 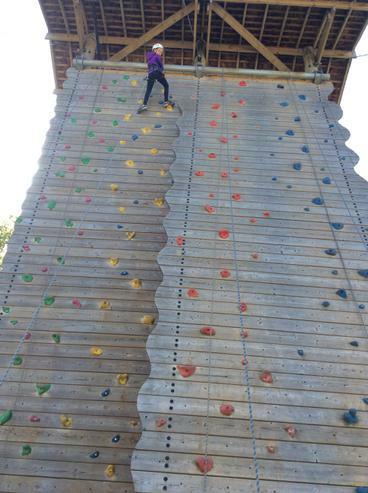 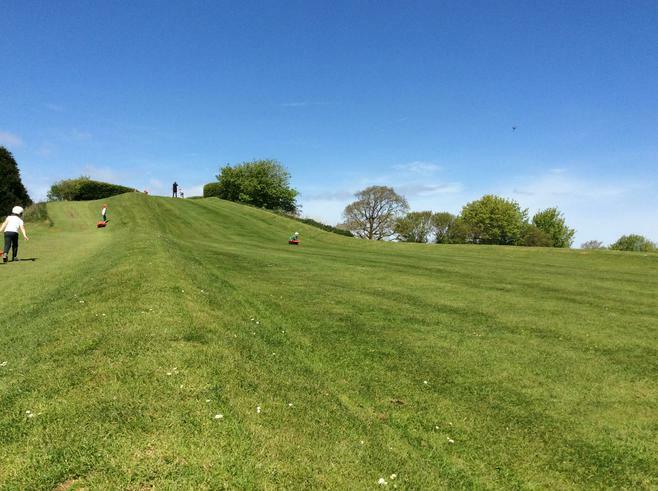 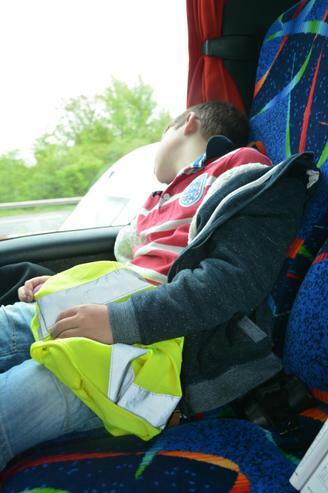 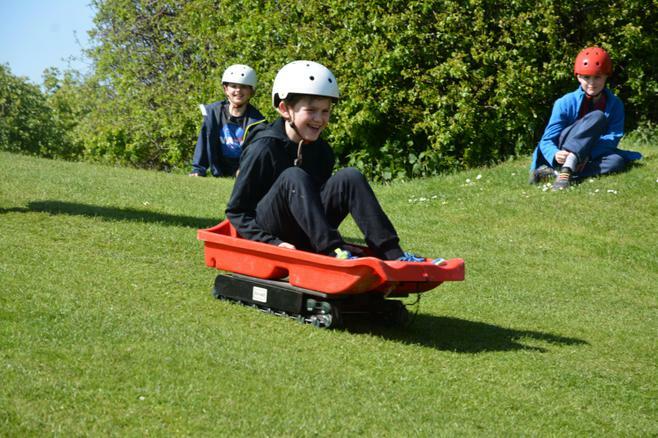 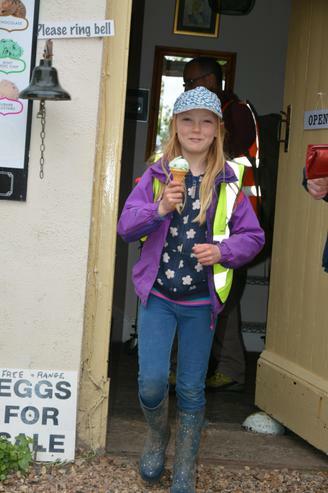 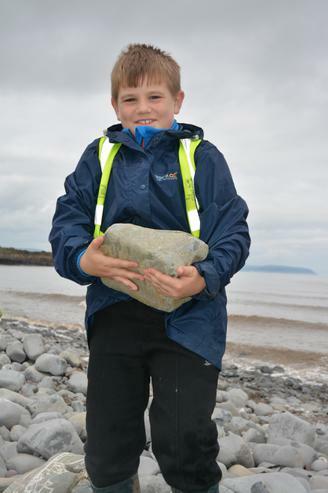 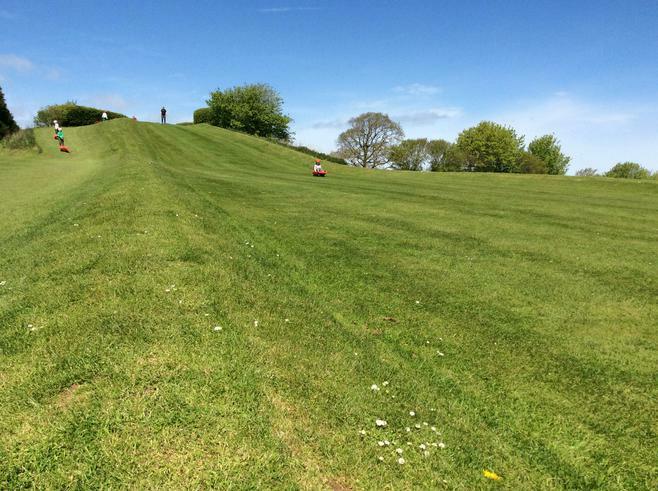 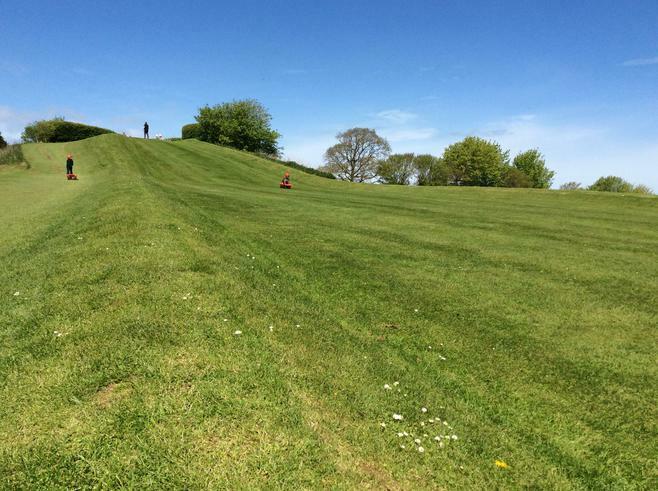 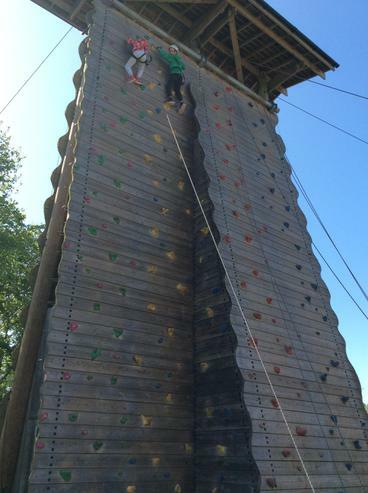 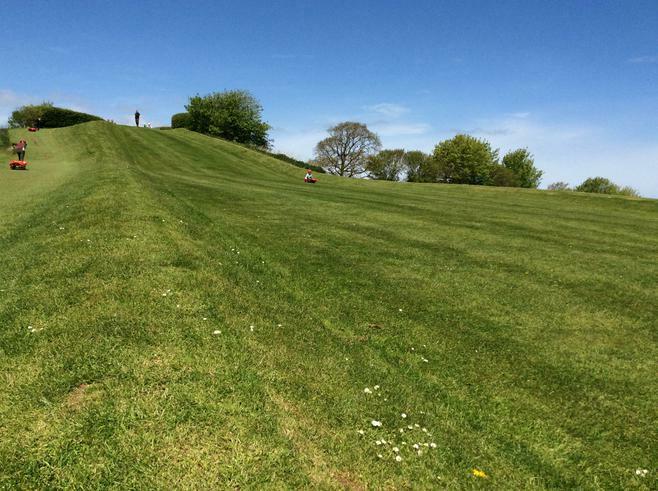 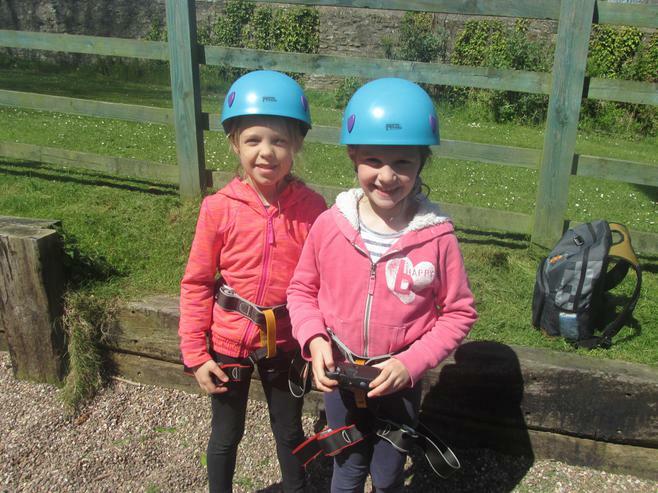 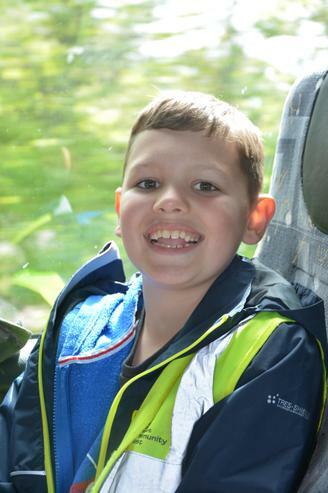 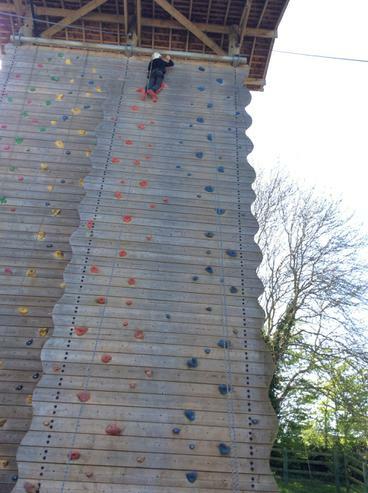 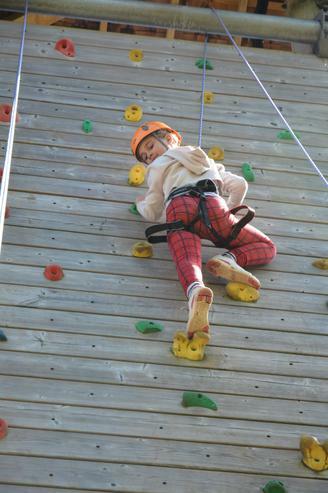 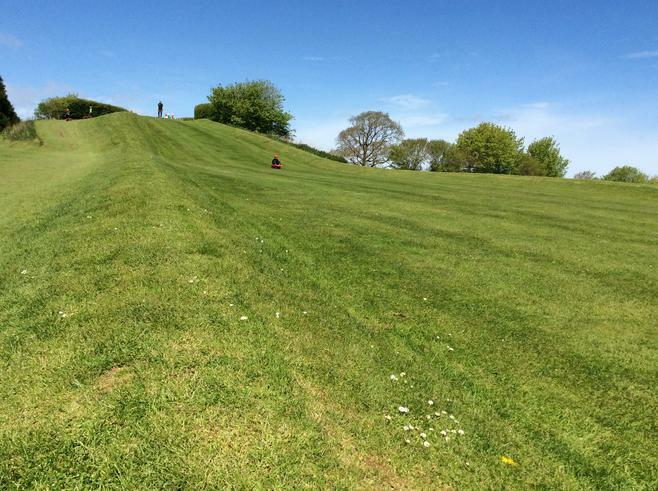 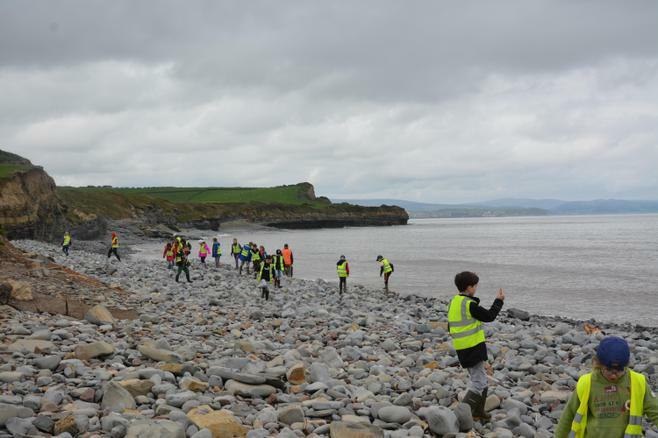 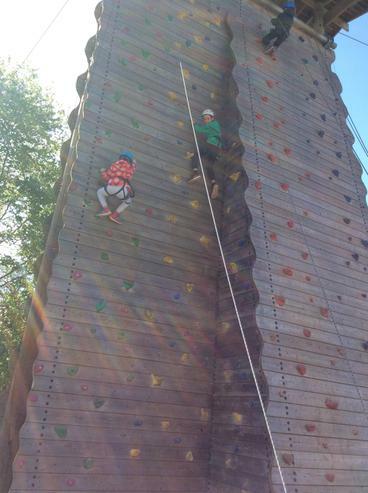 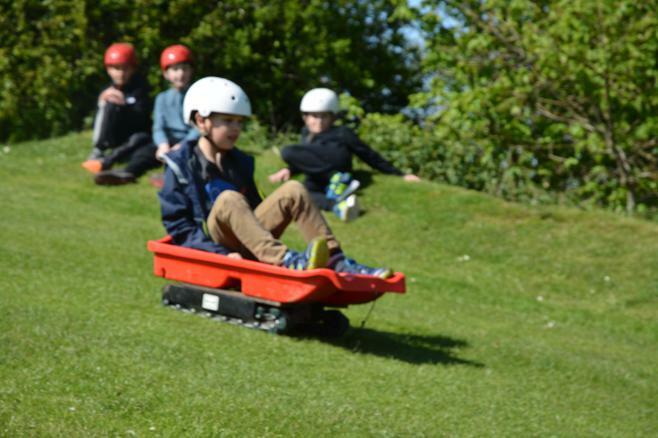 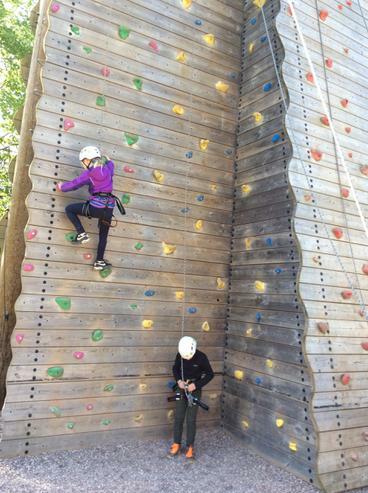 Last week the Year 4 children travelled to Kilve Court for their residential trip. 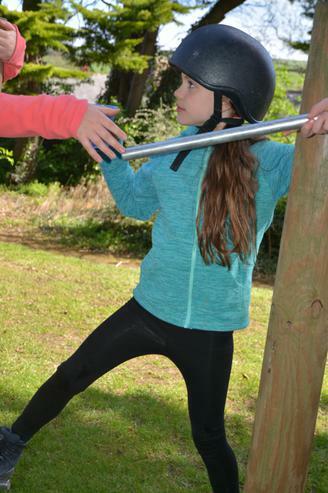 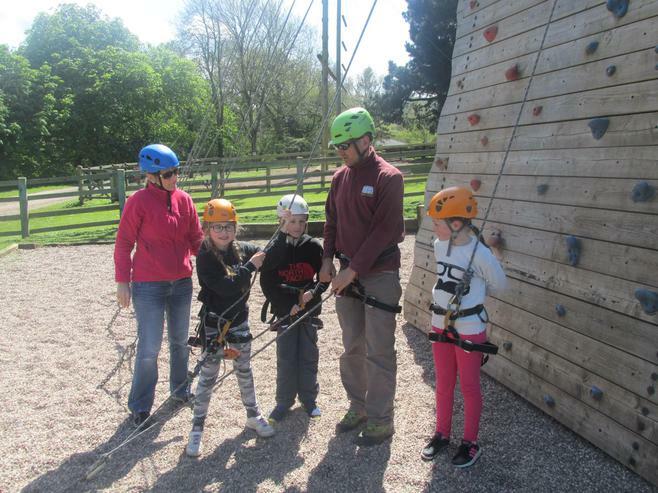 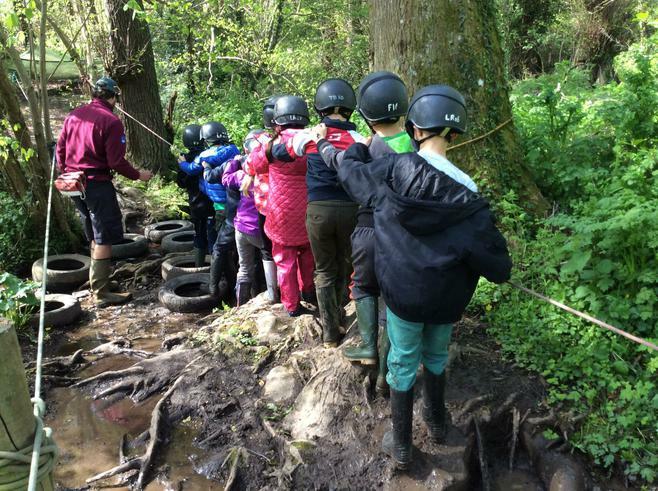 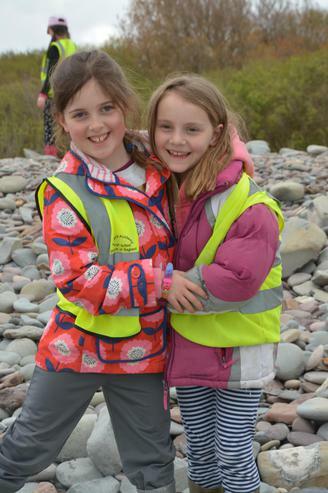 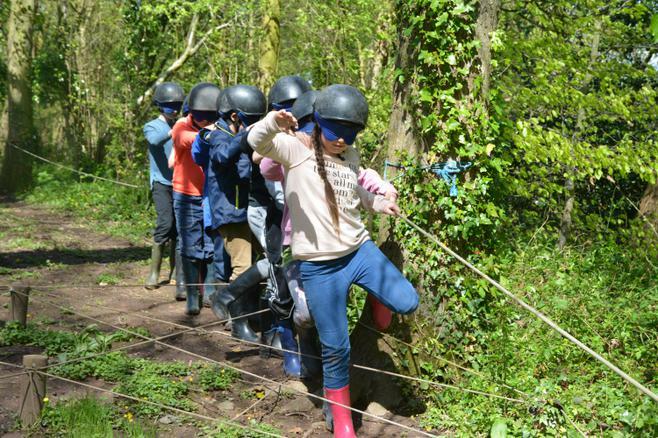 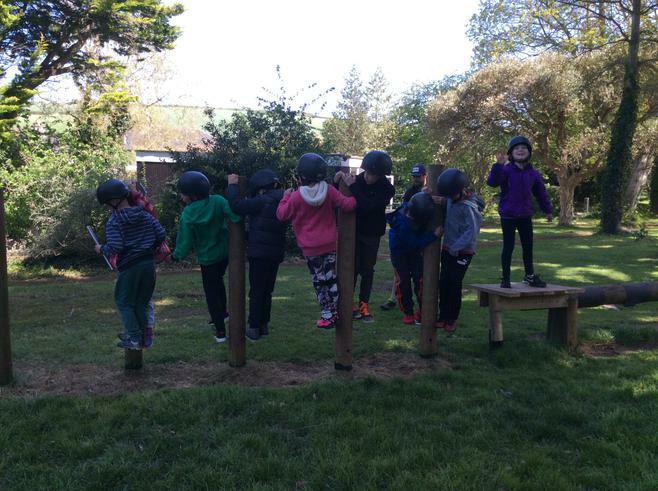 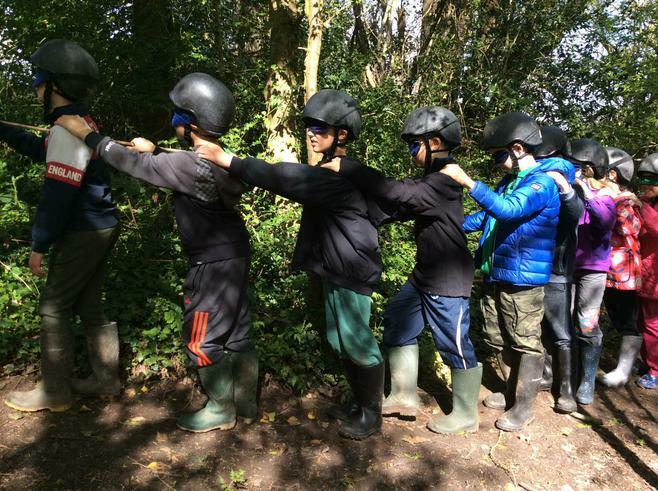 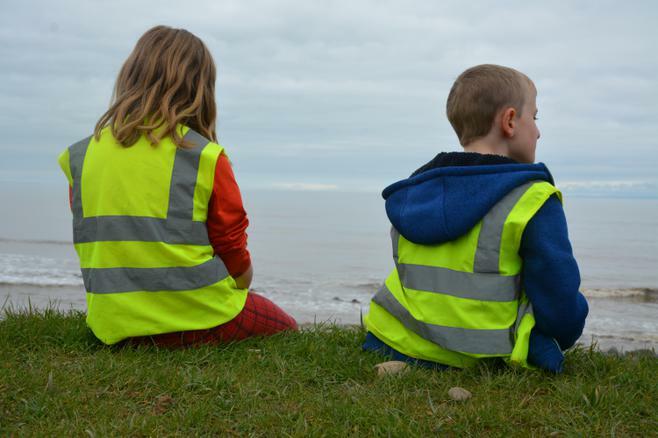 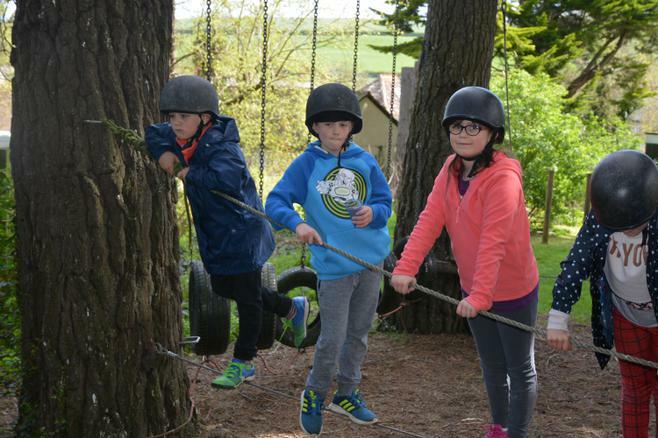 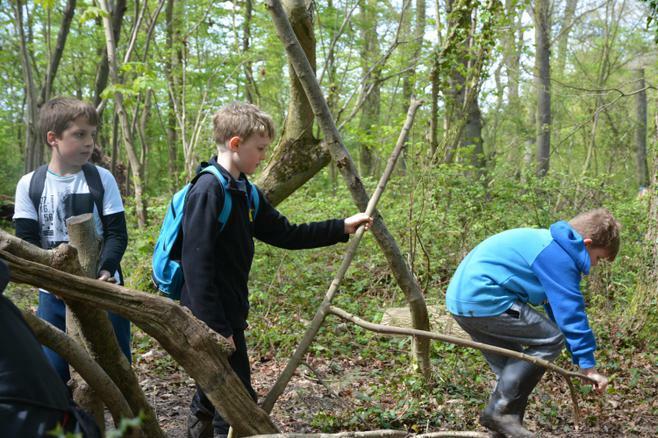 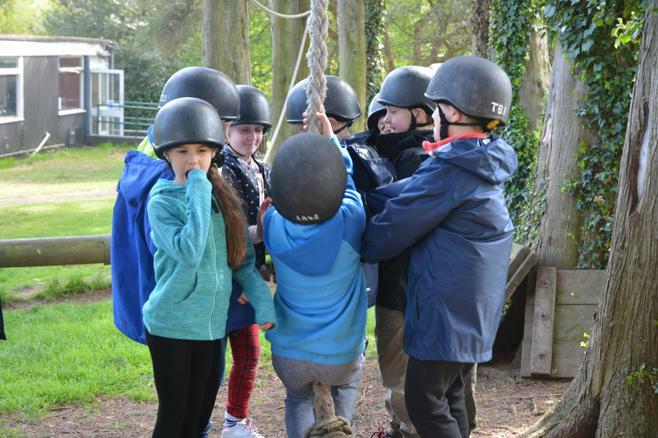 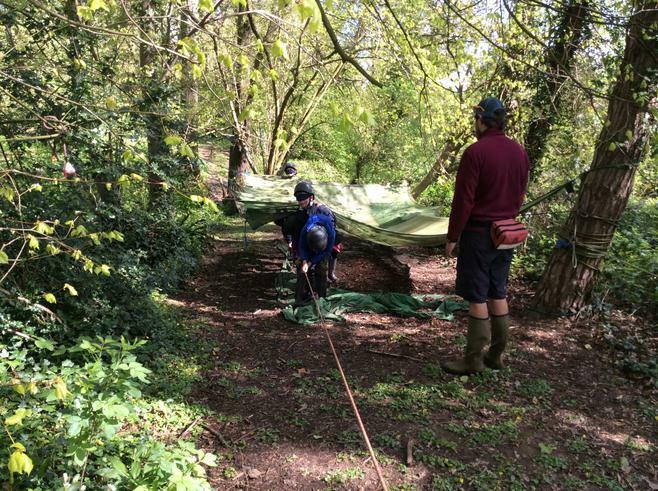 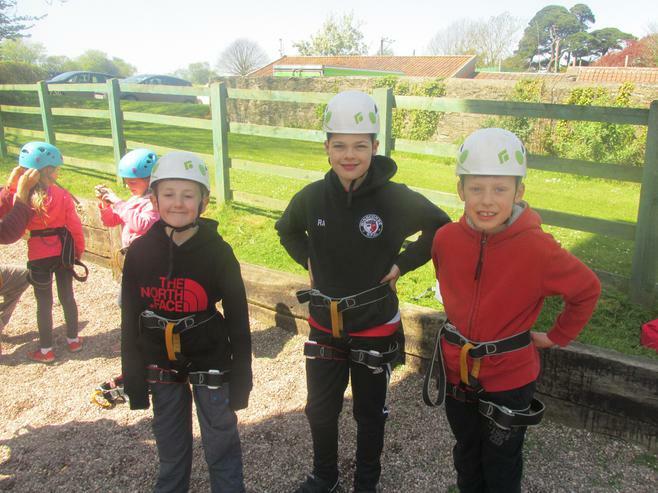 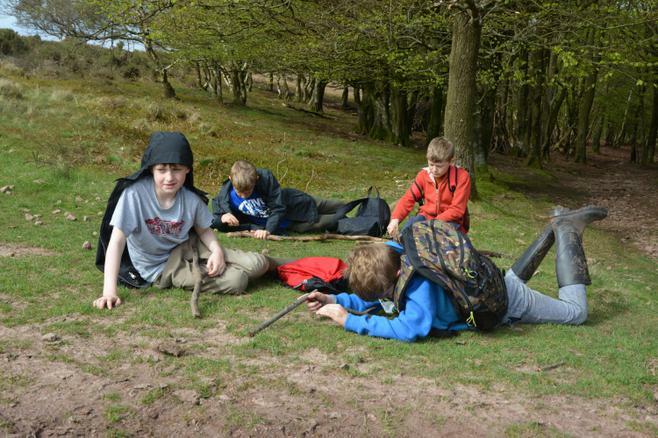 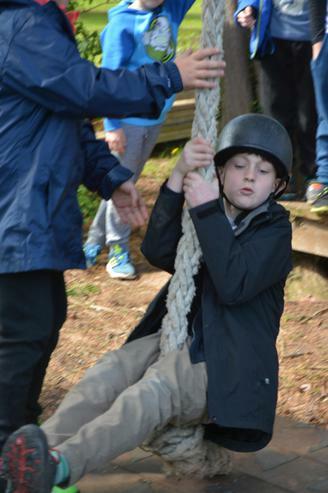 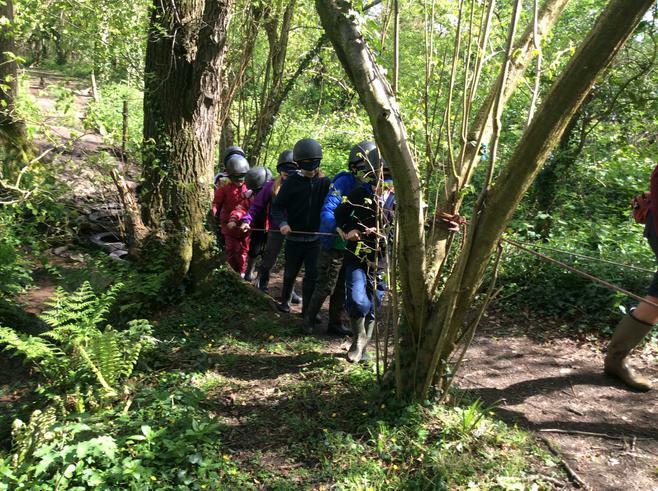 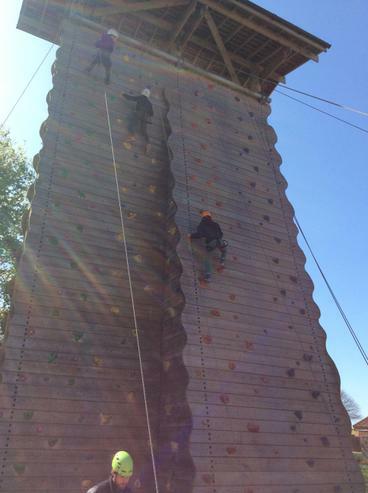 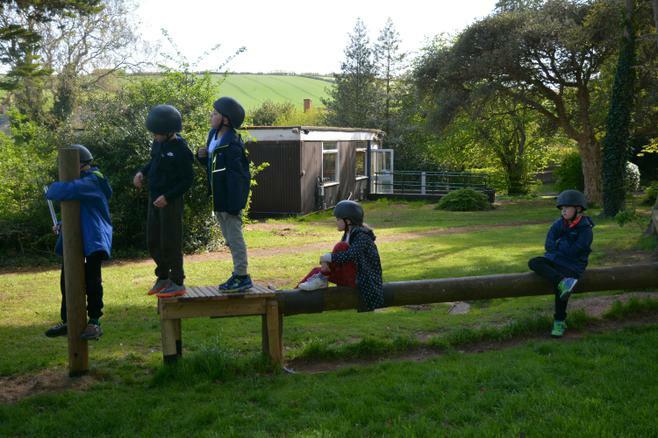 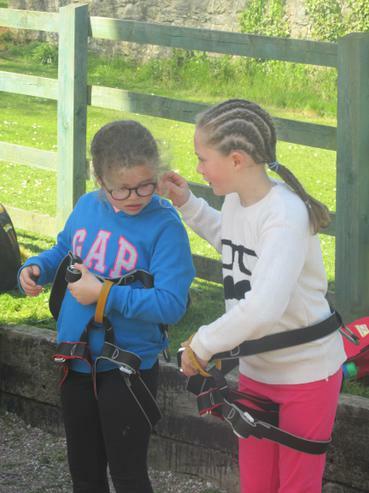 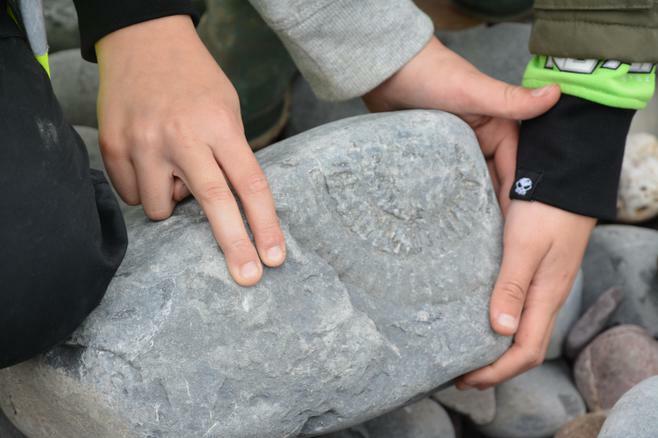 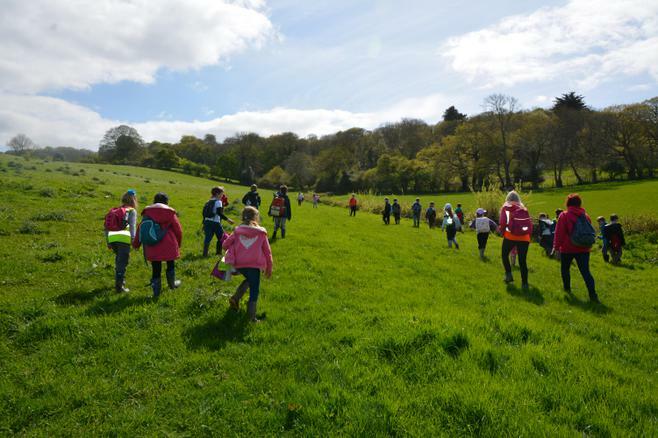 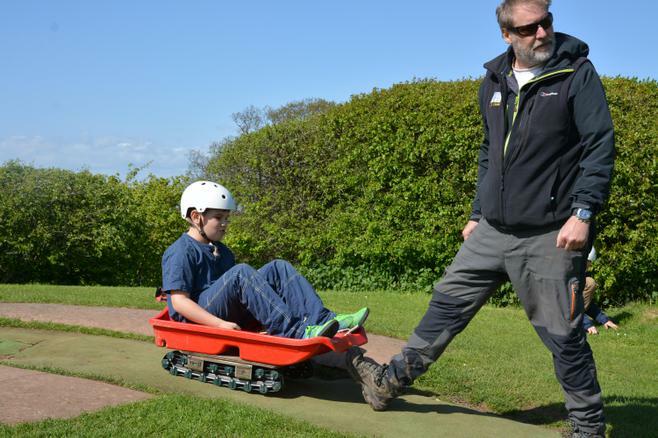 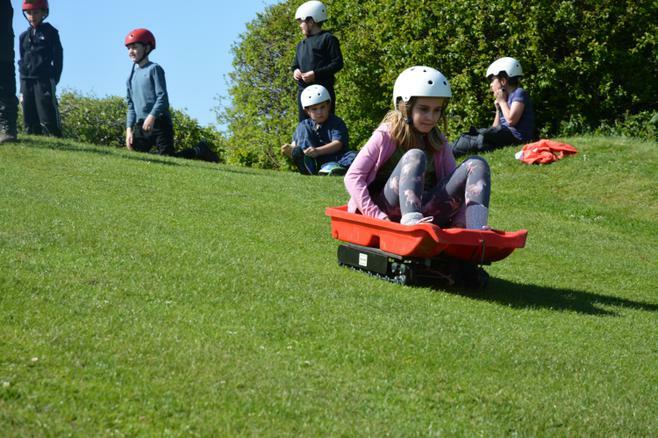 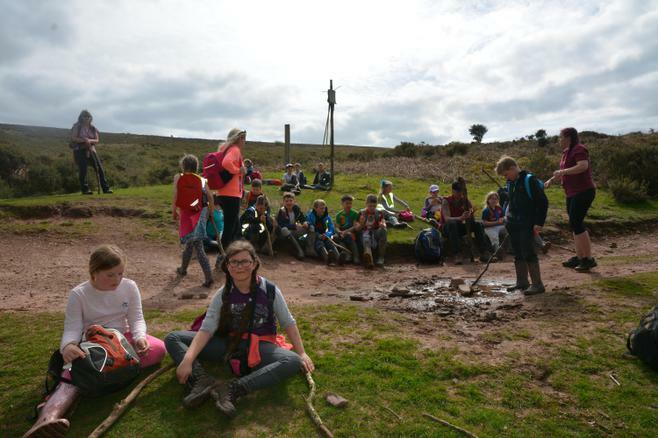 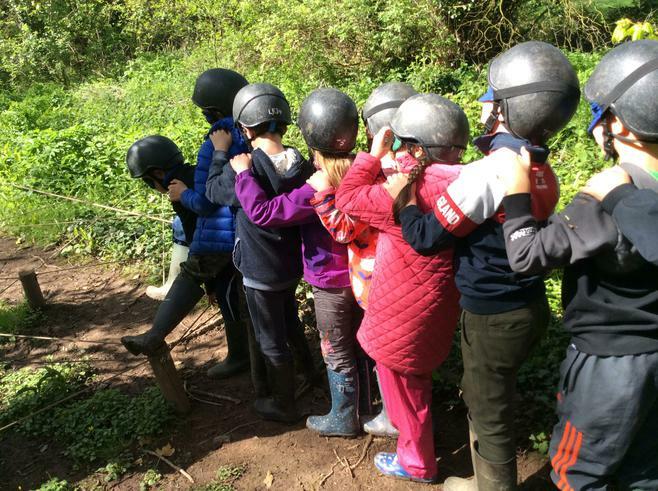 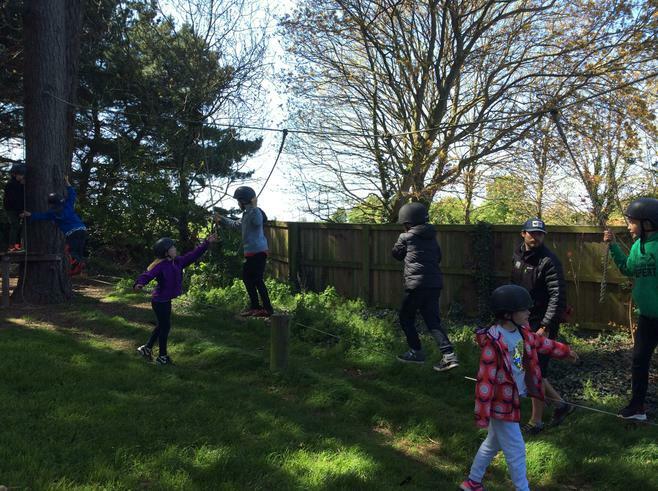 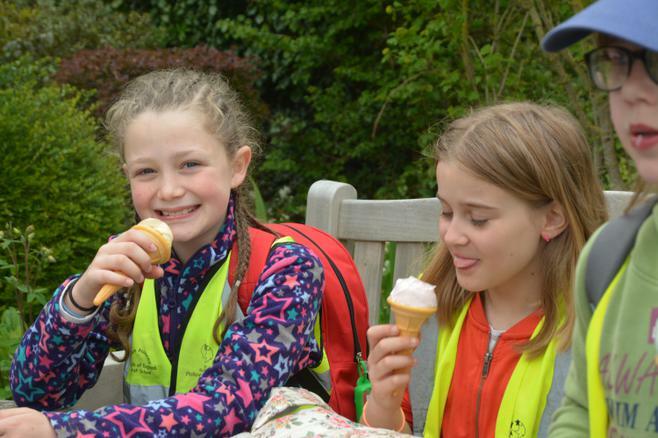 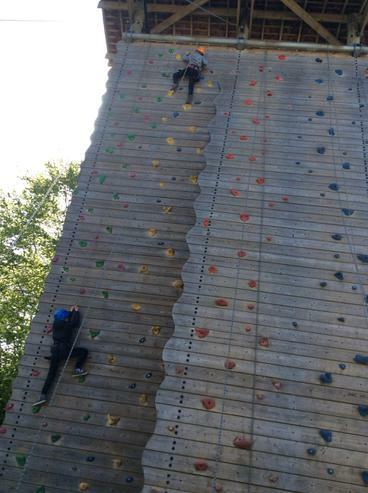 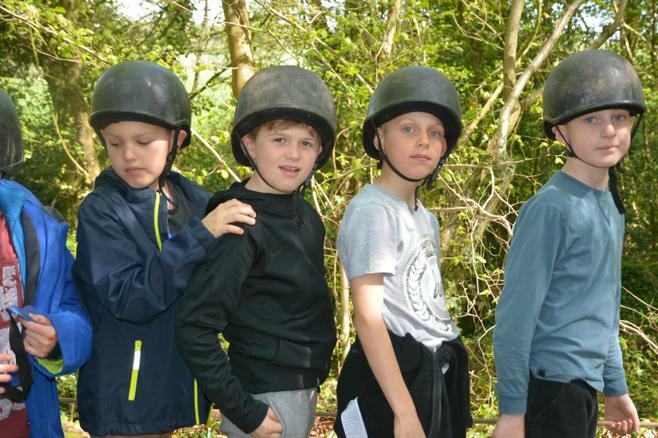 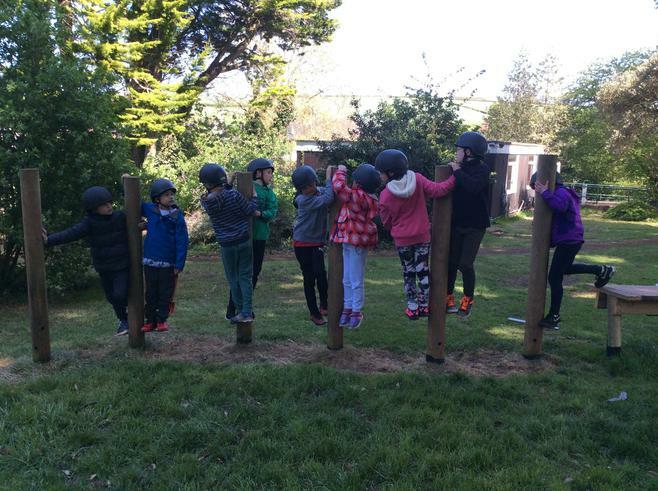 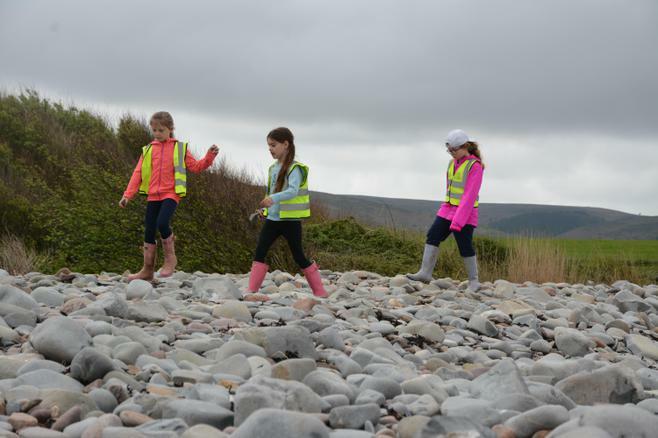 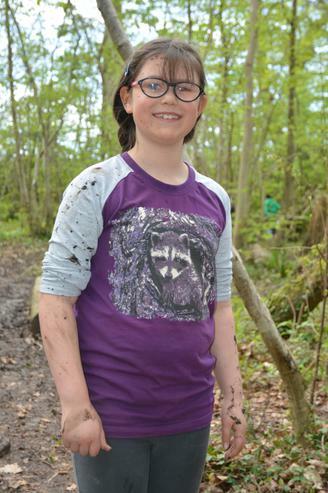 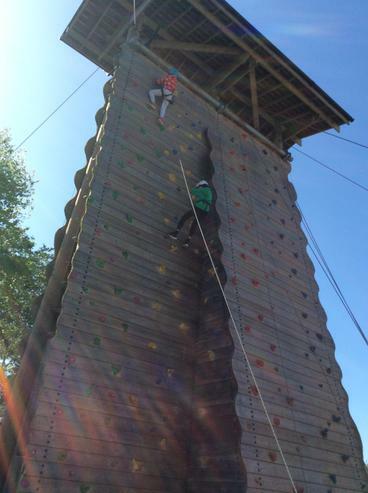 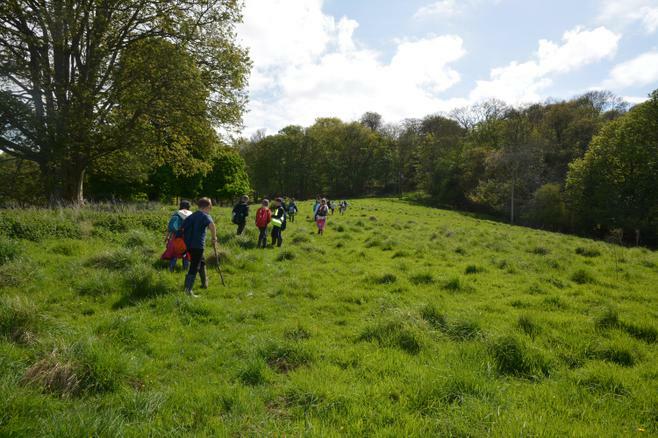 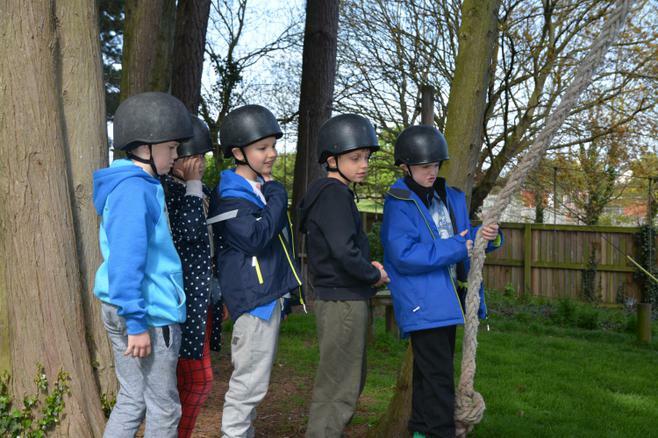 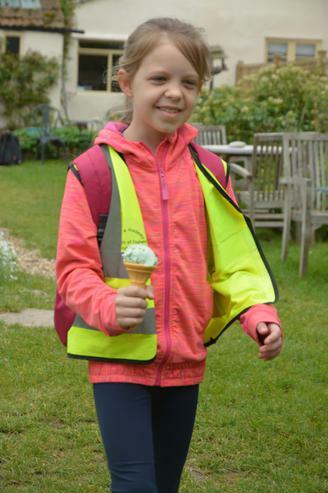 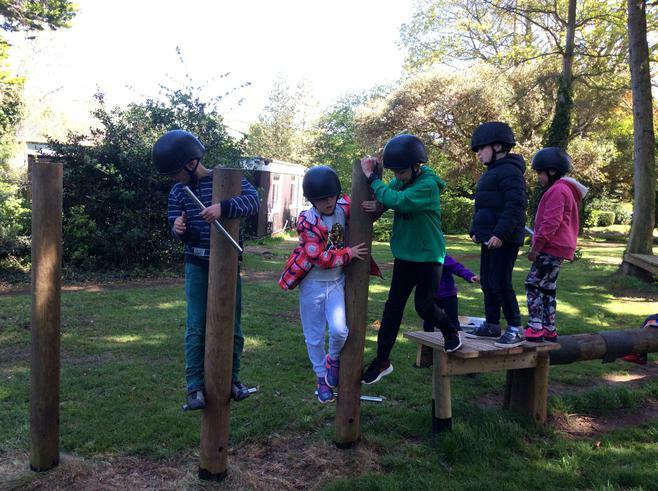 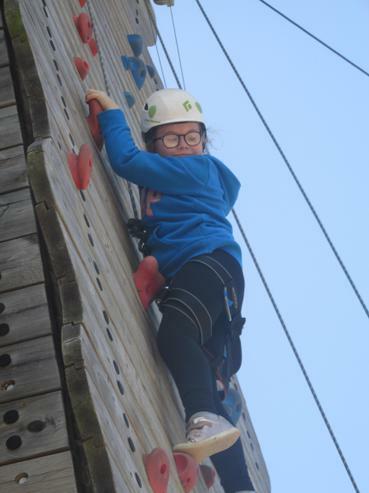 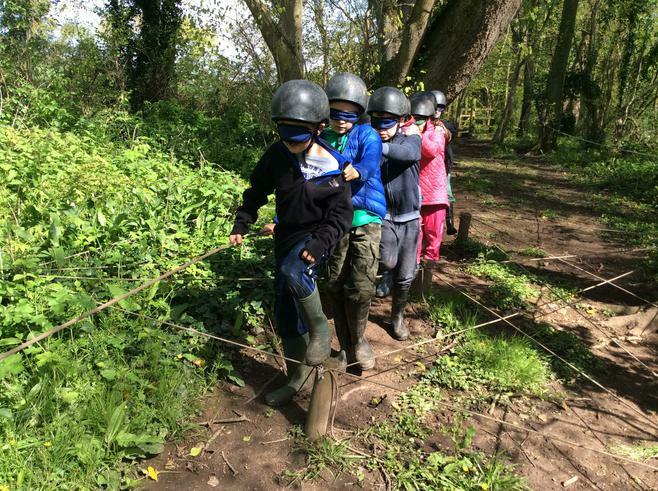 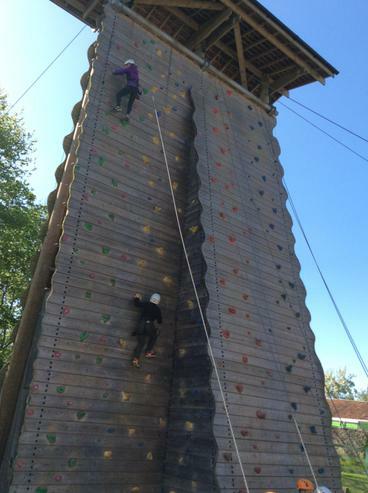 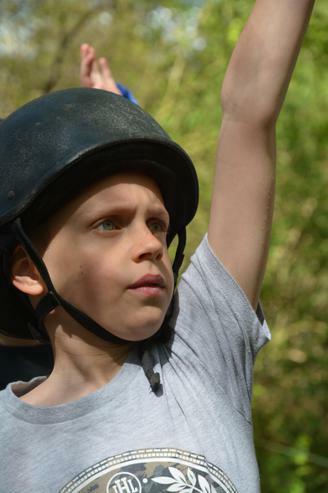 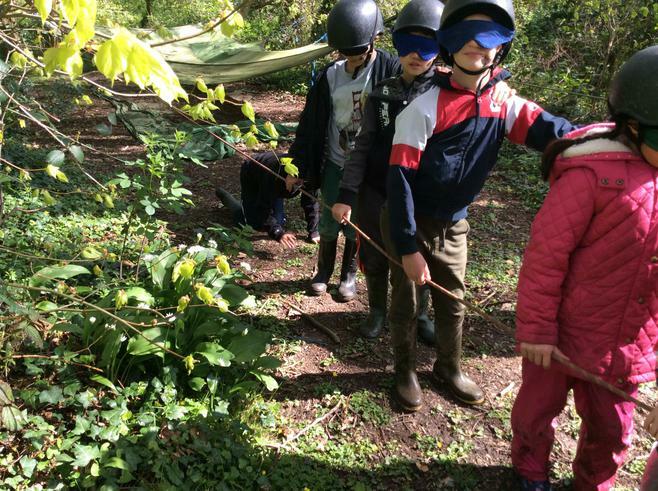 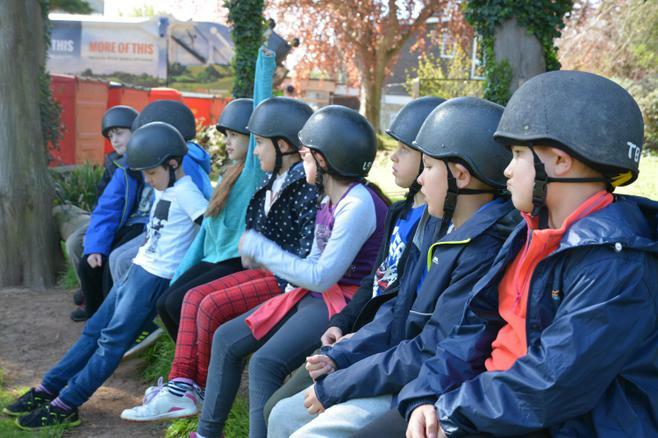 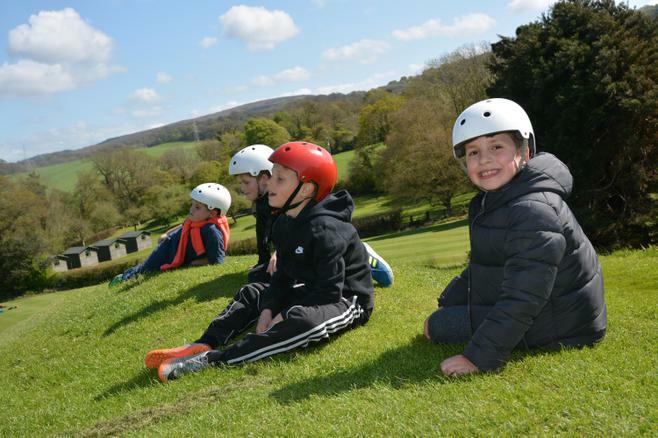 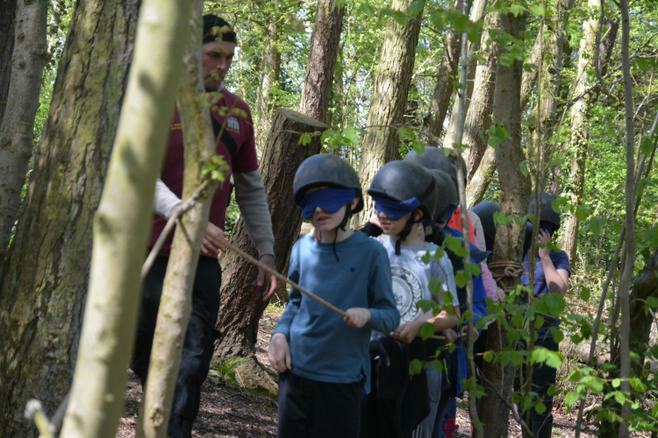 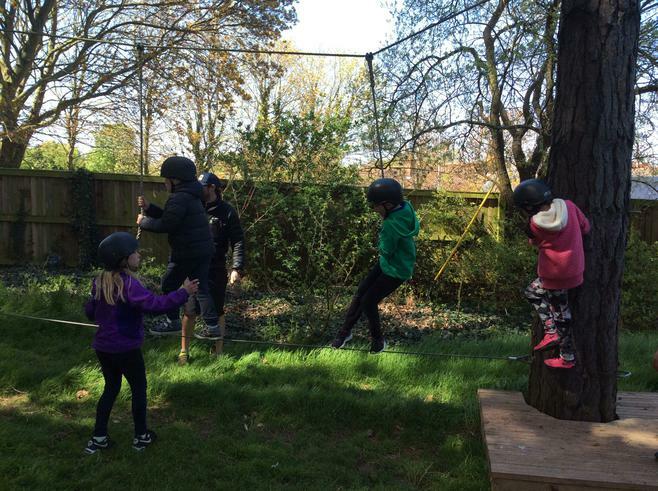 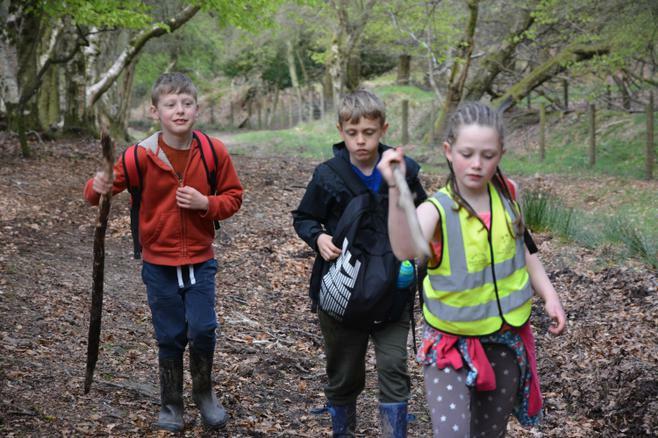 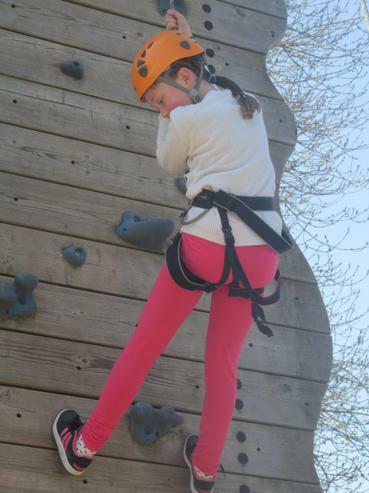 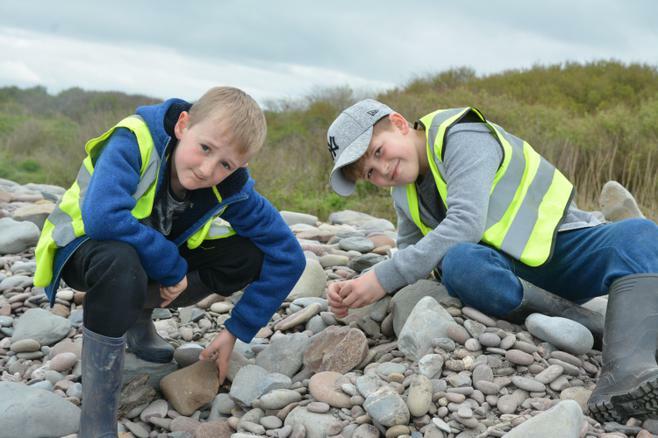 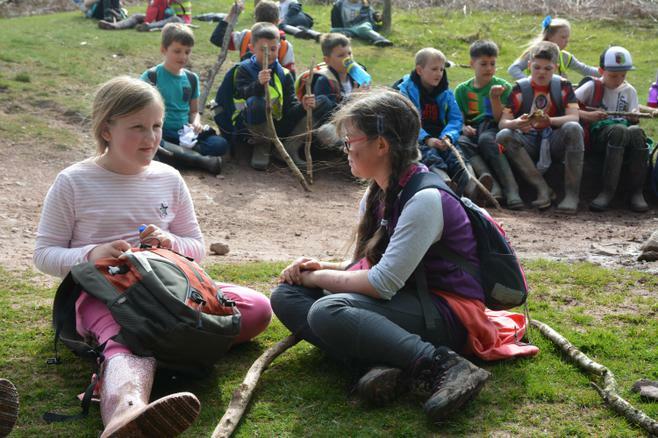 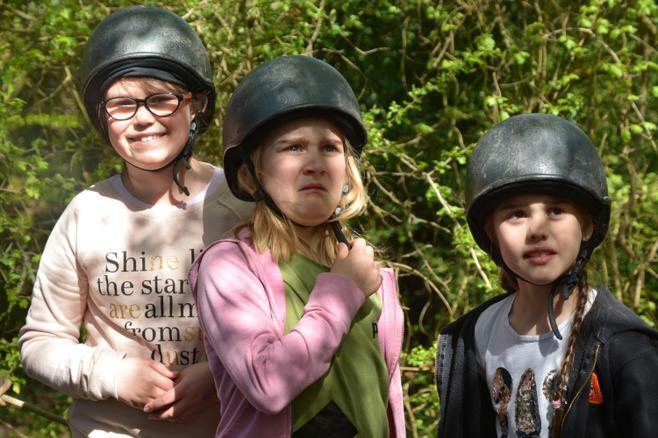 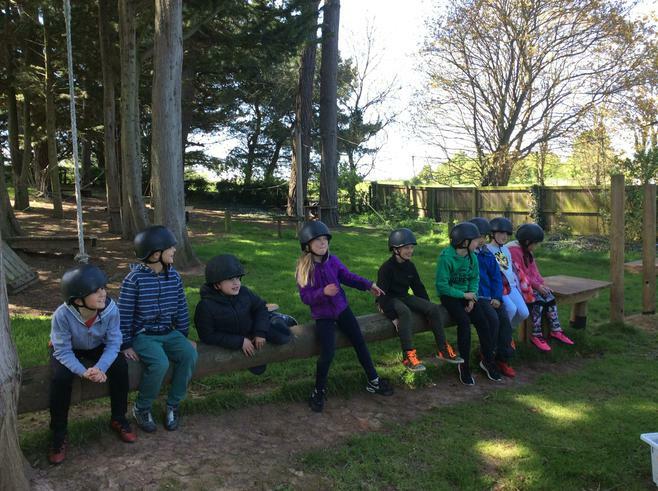 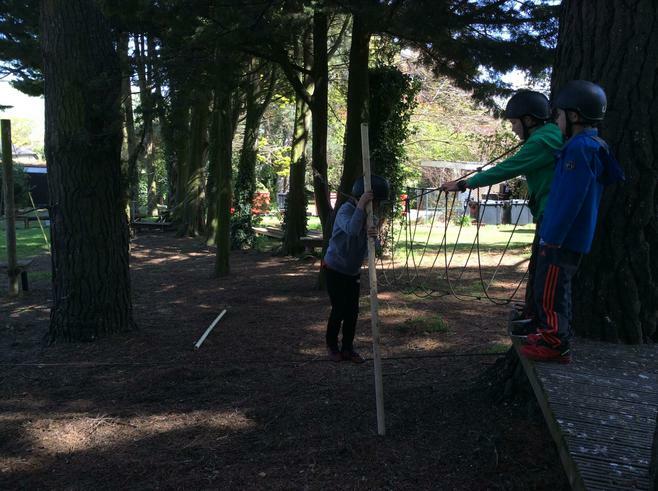 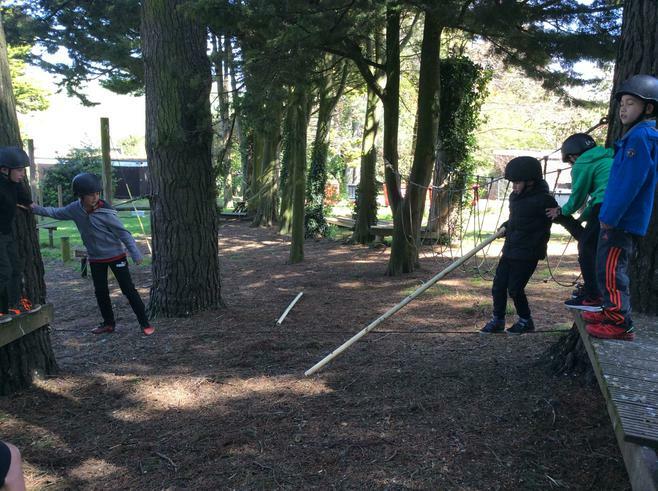 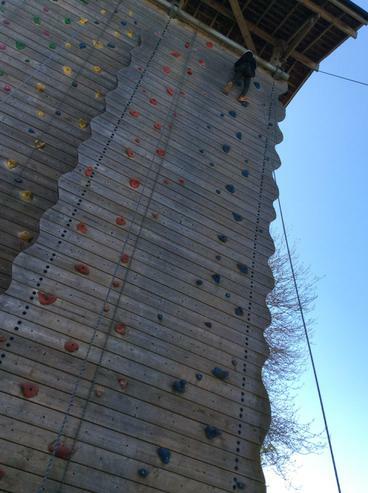 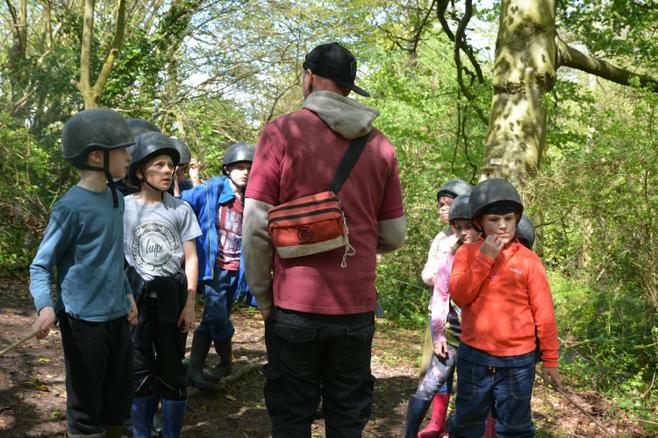 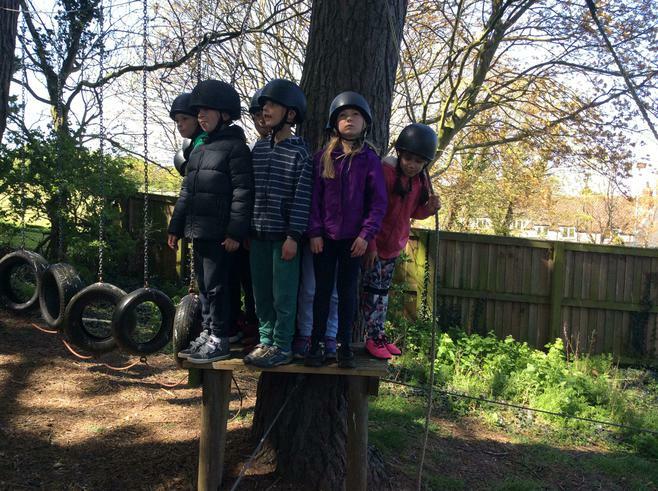 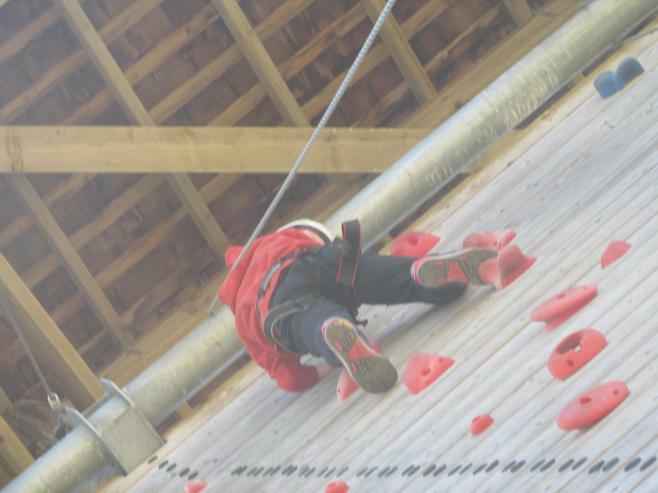 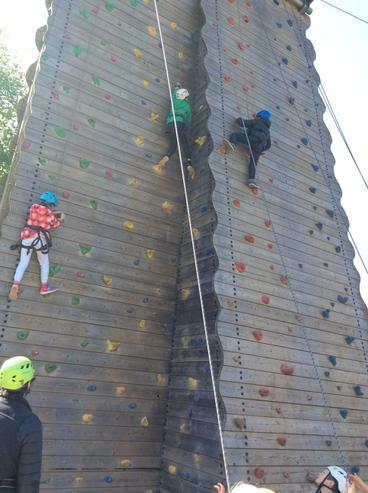 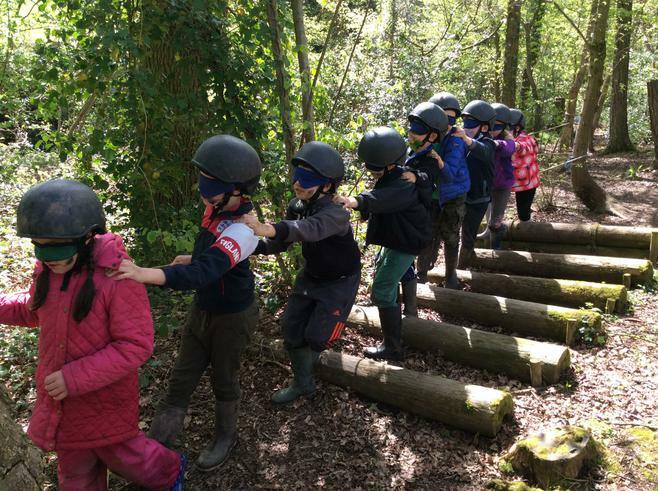 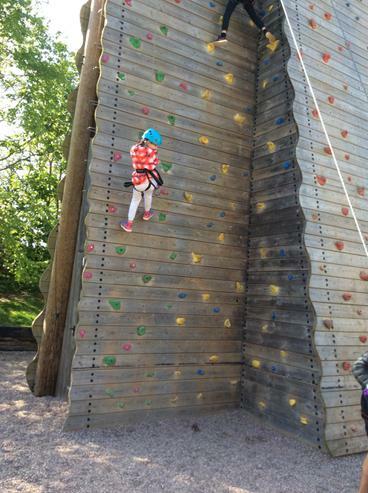 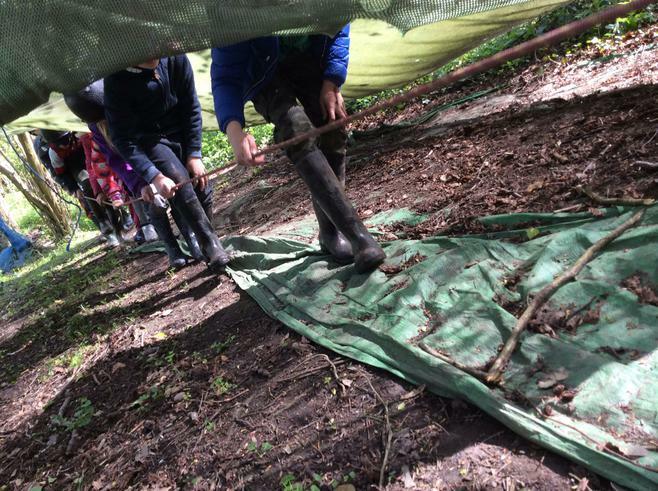 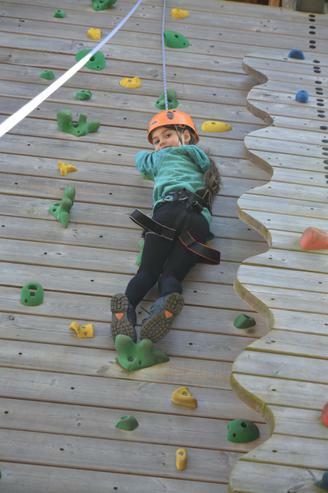 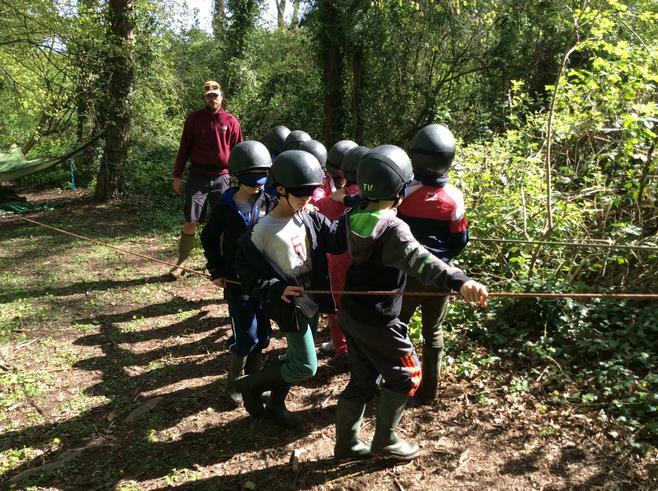 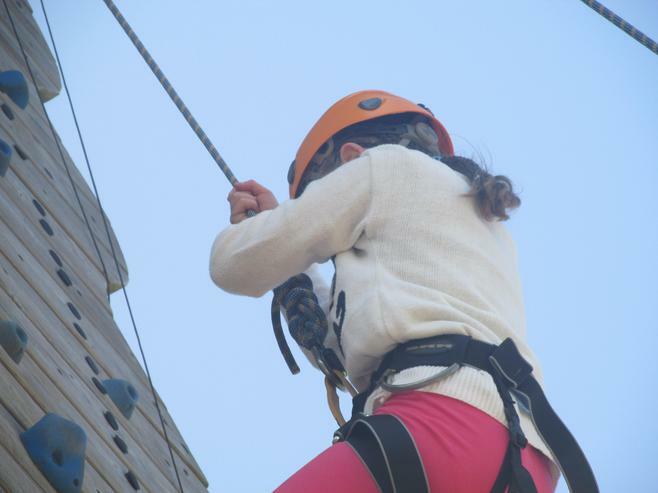 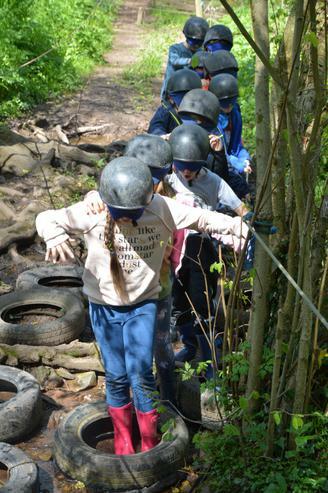 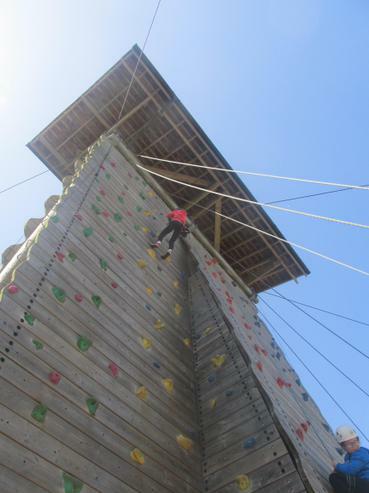 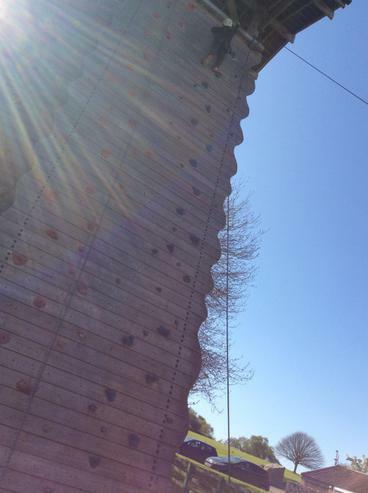 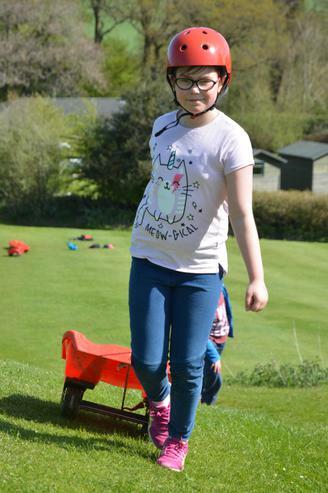 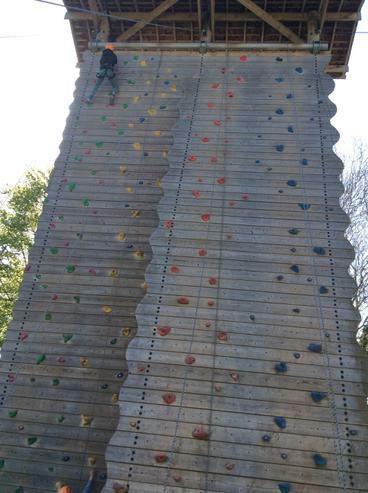 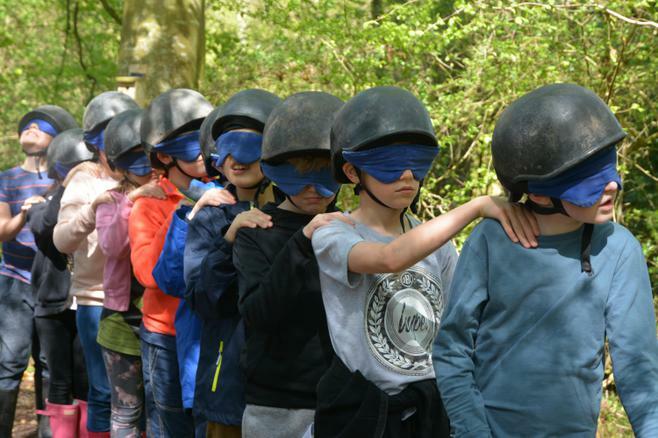 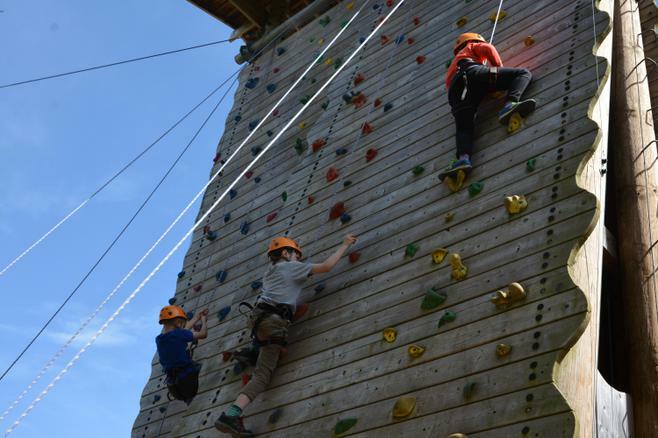 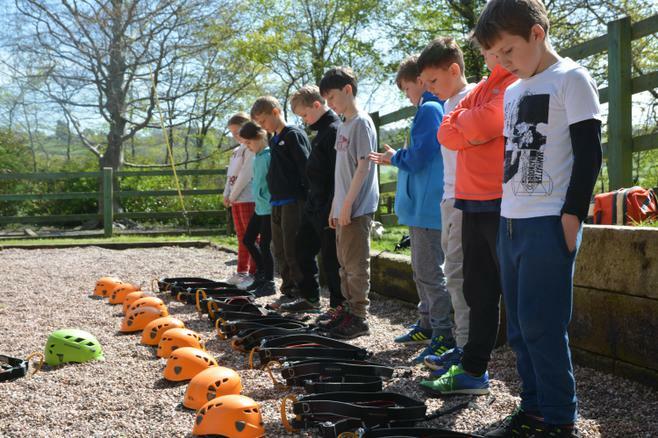 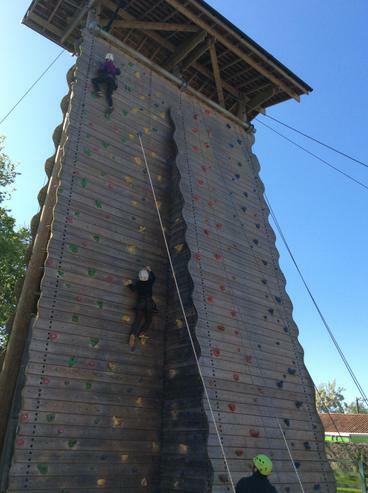 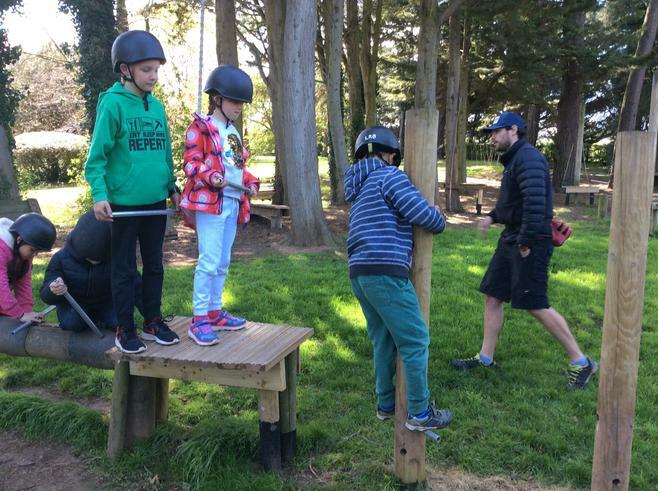 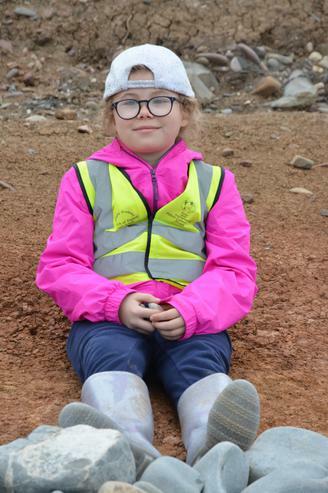 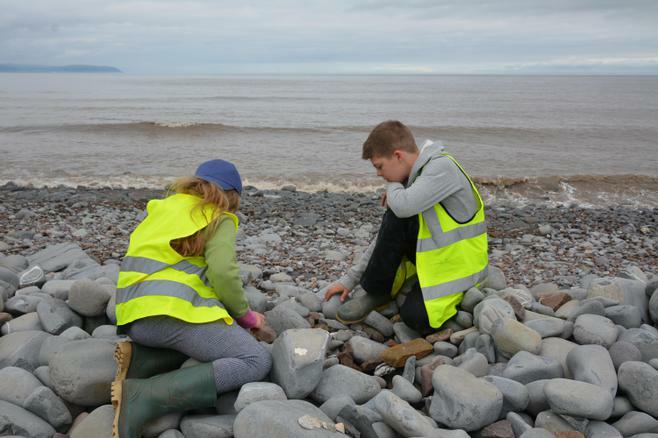 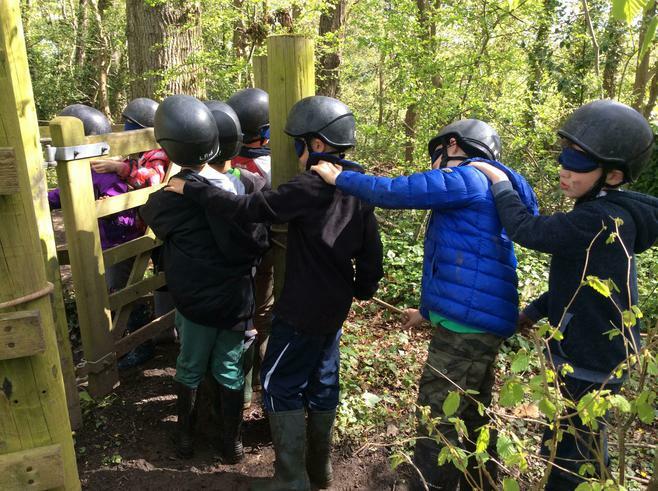 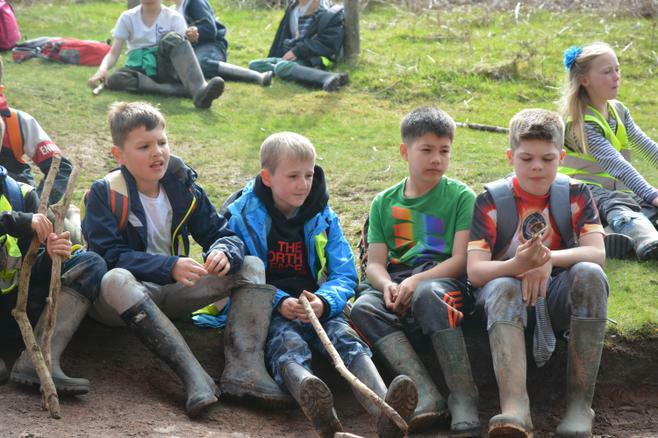 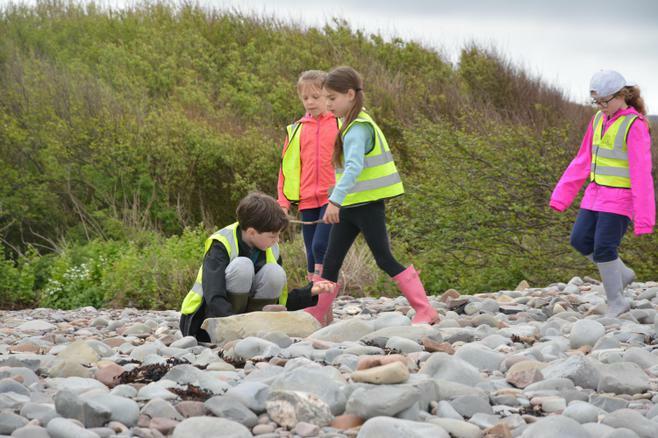 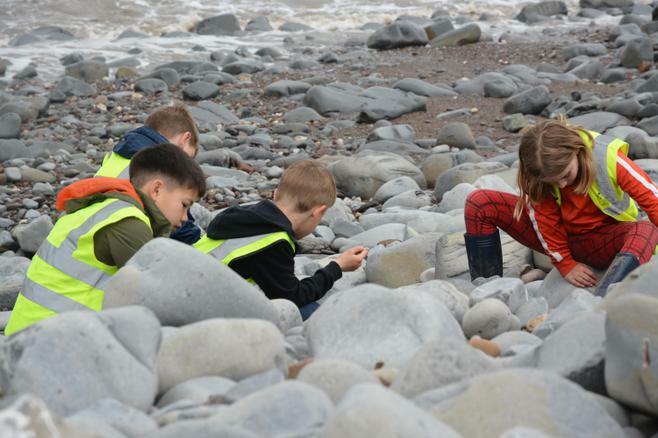 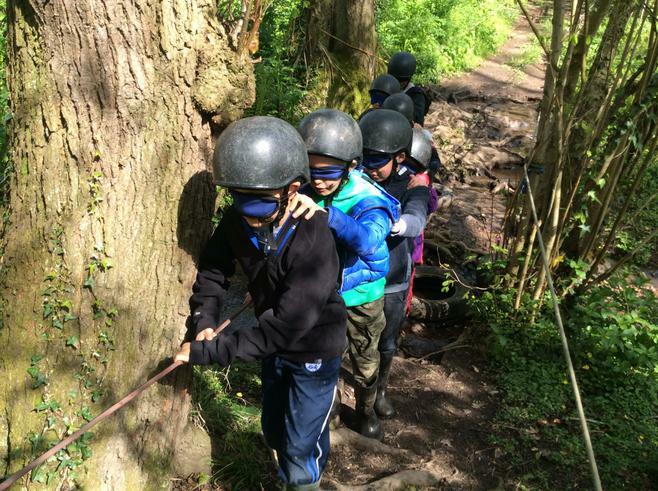 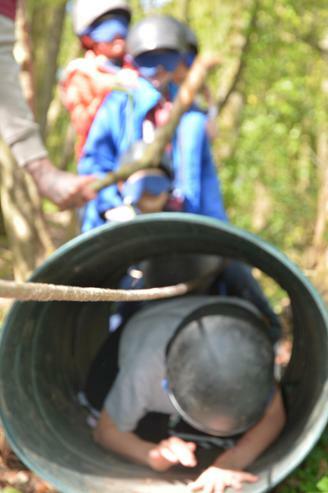 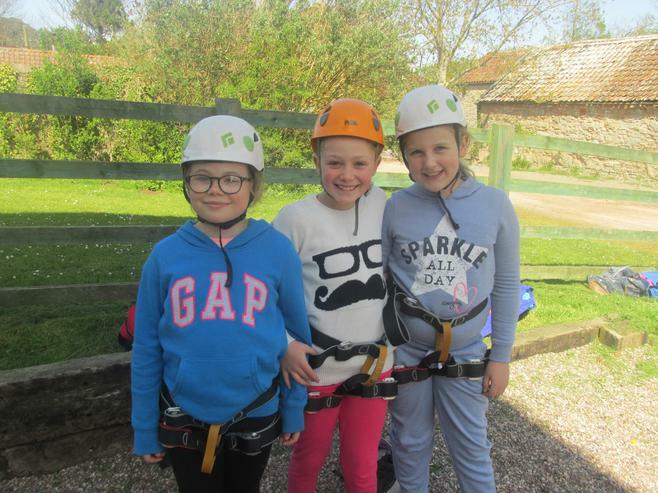 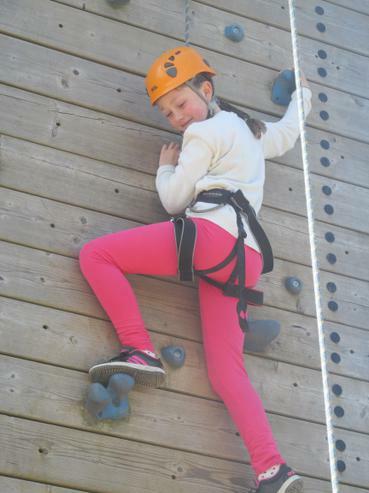 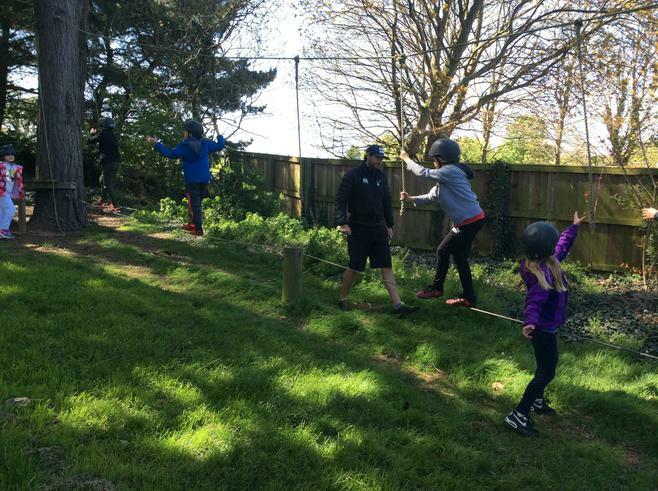 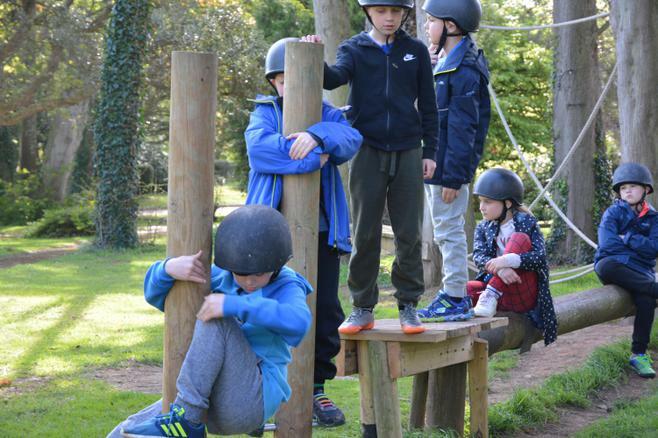 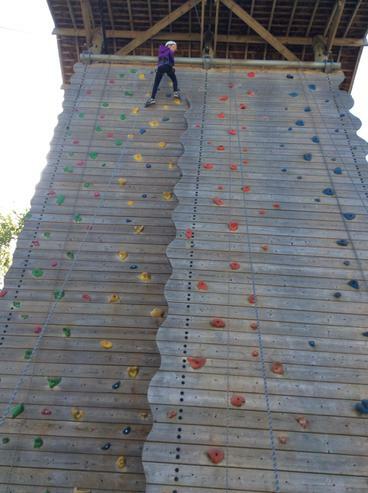 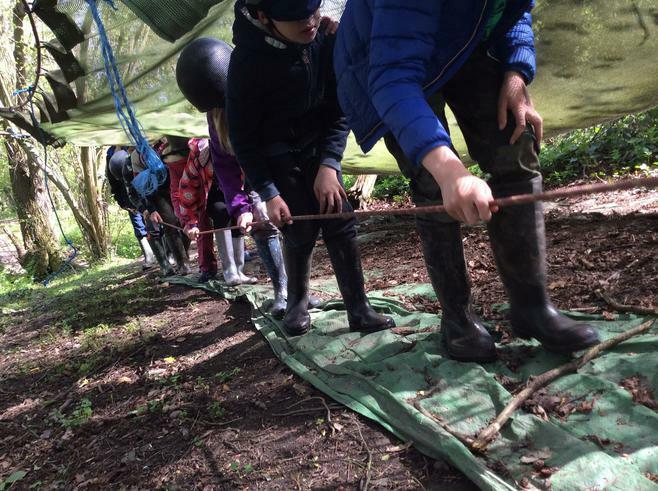 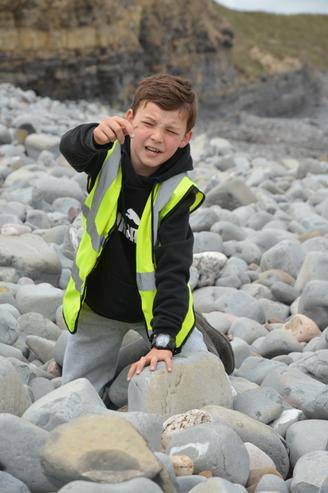 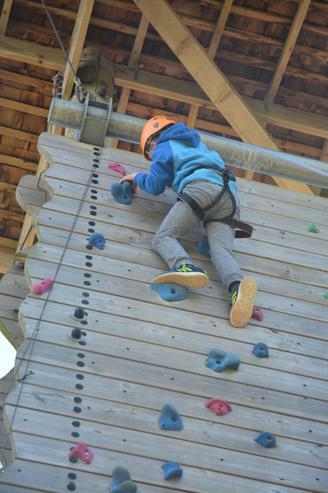 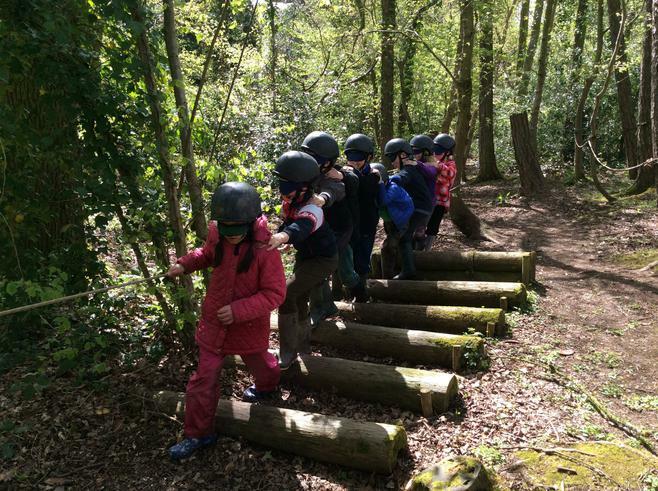 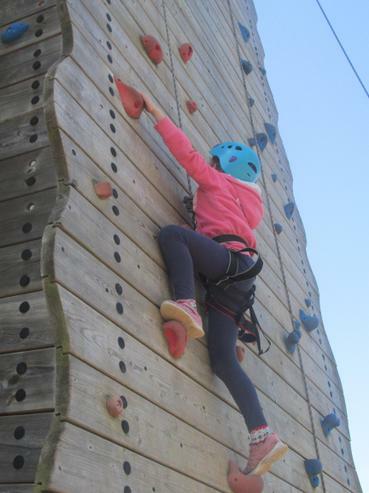 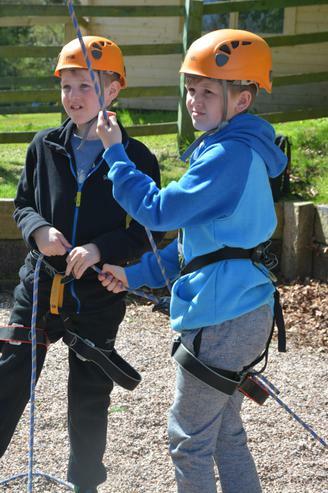 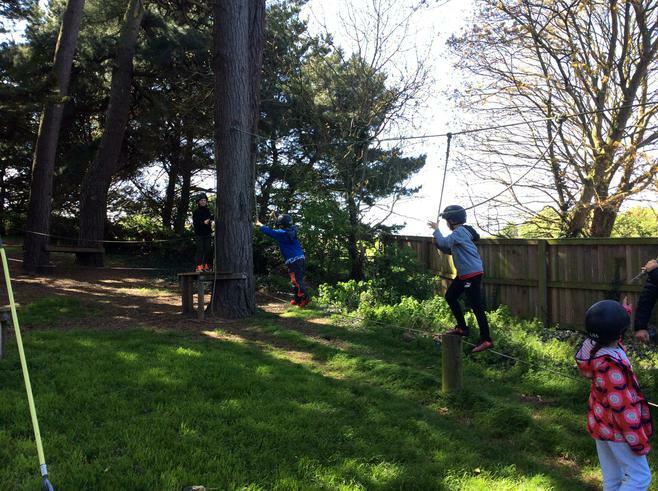 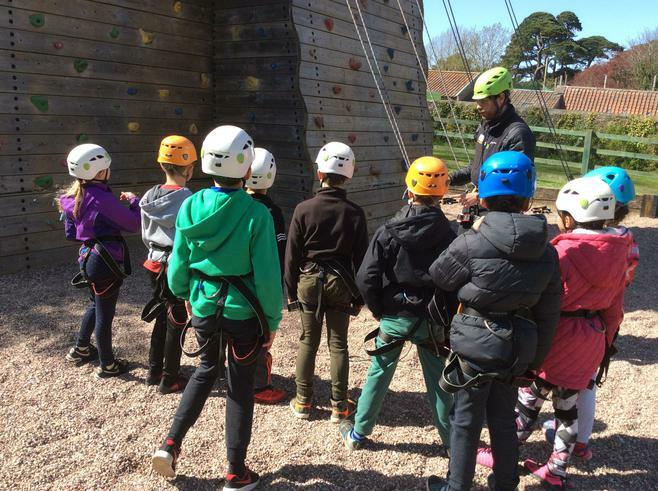 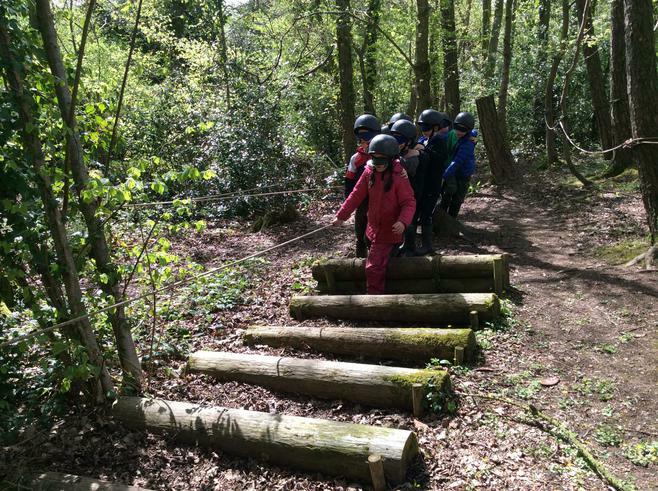 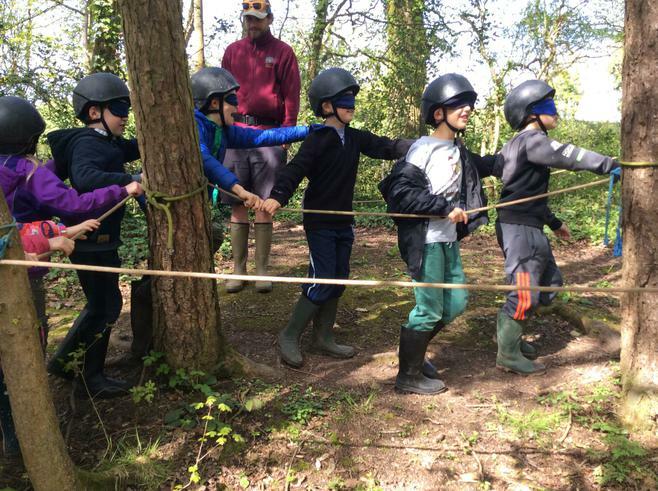 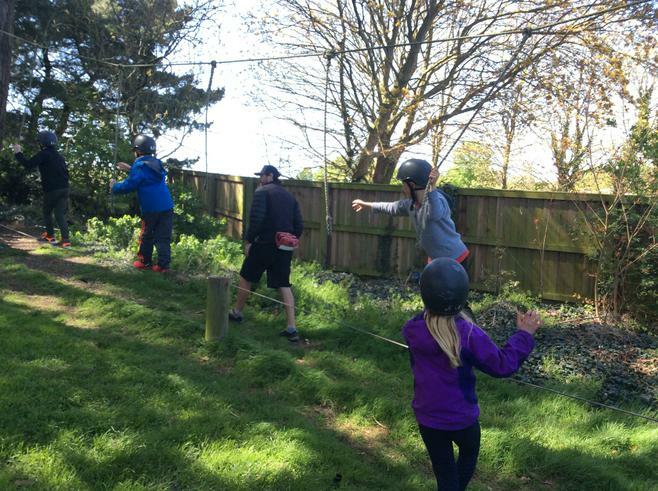 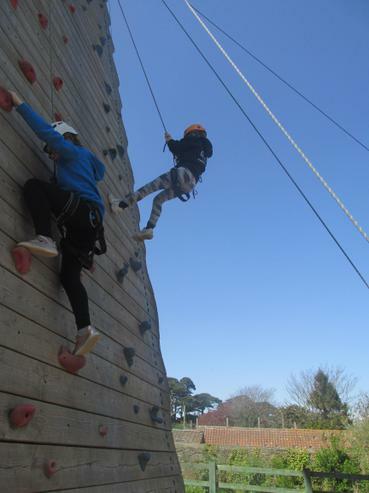 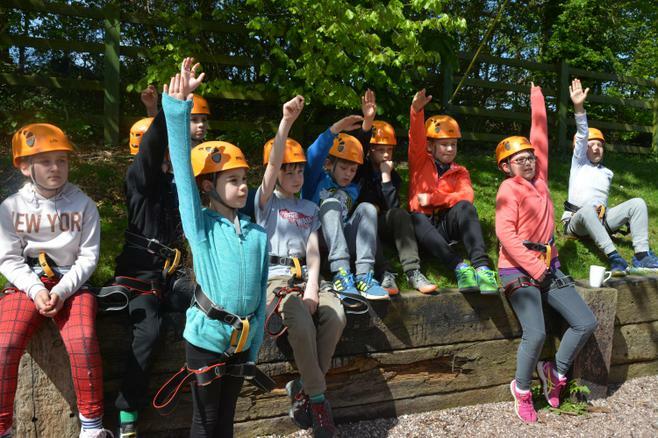 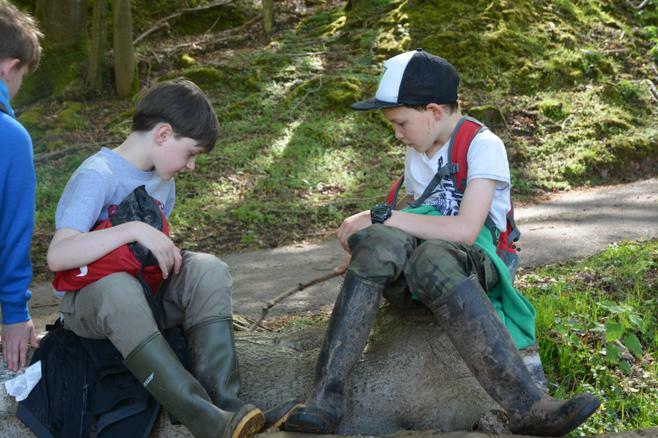 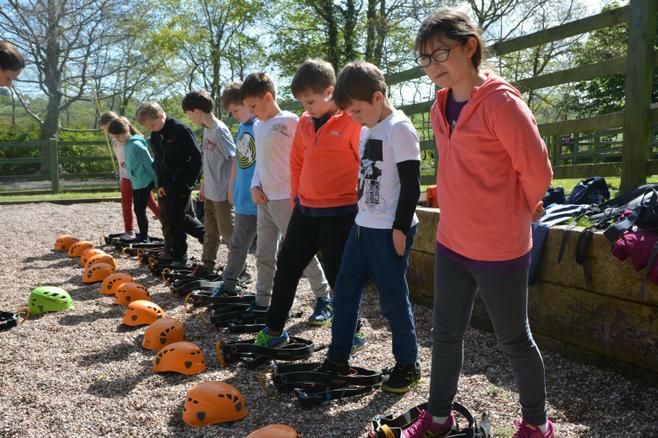 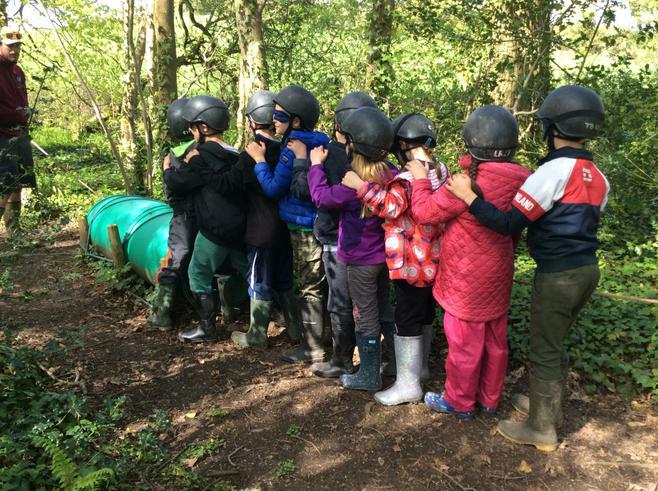 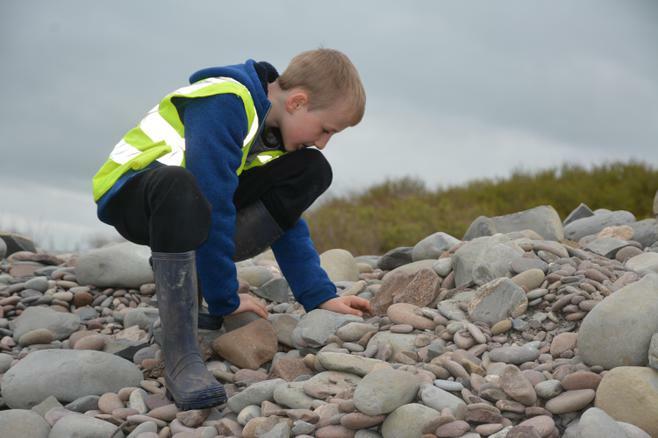 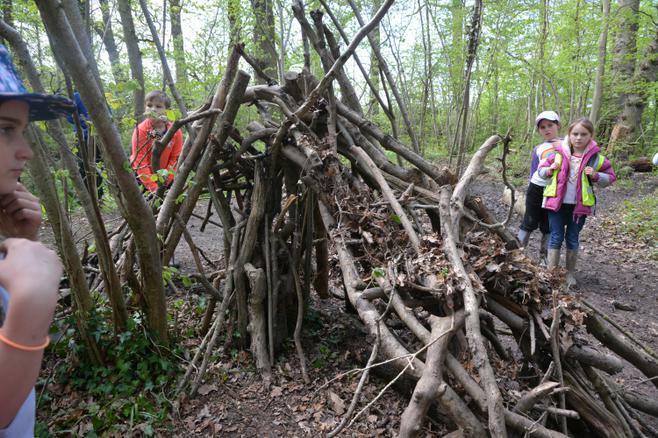 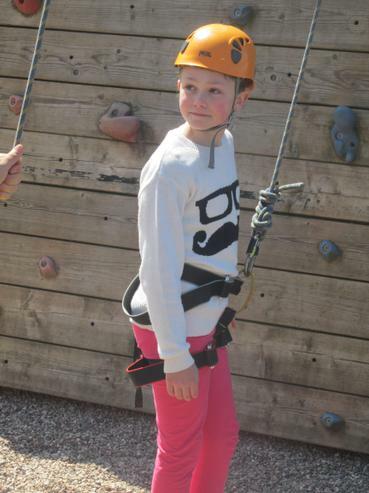 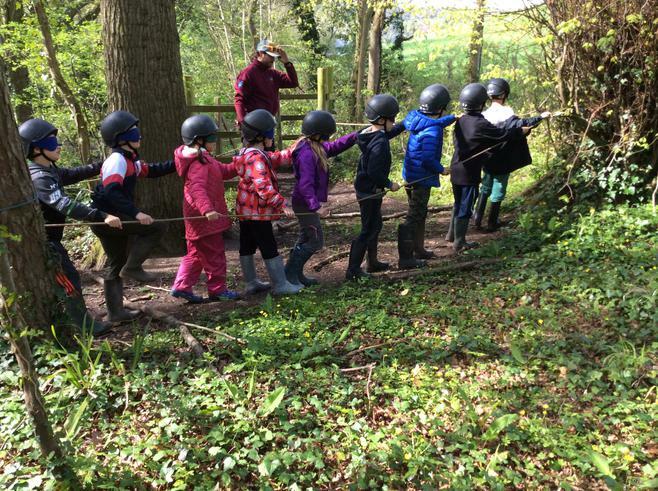 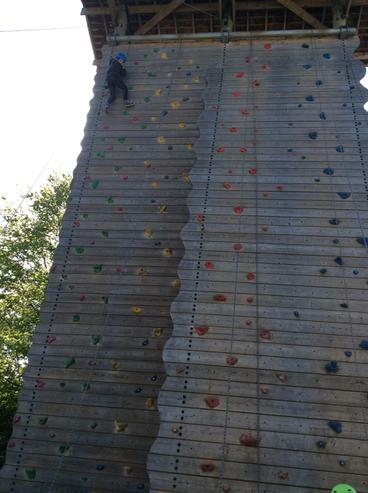 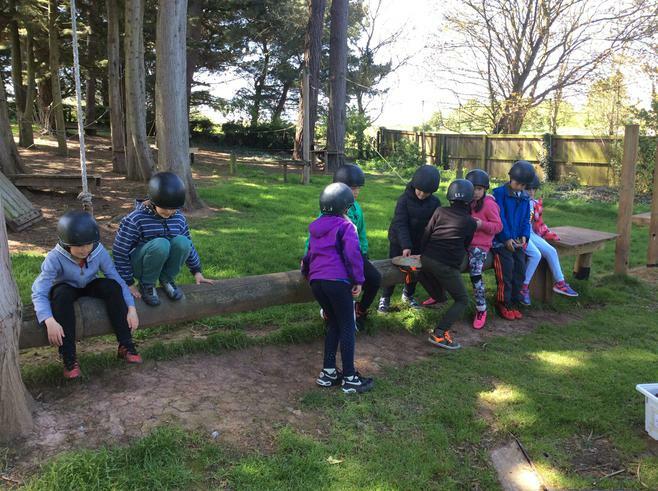 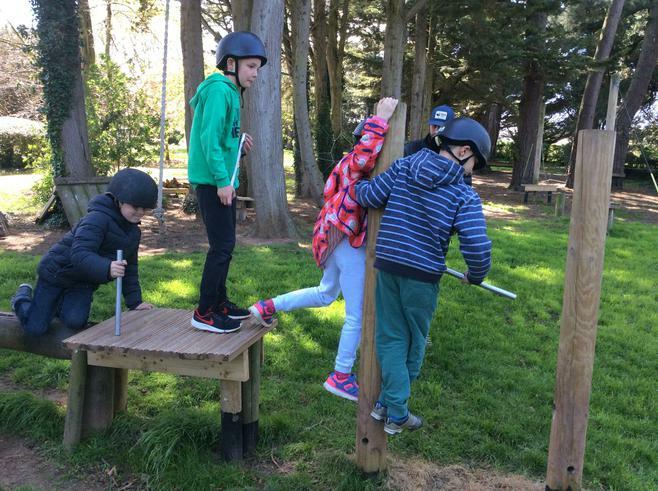 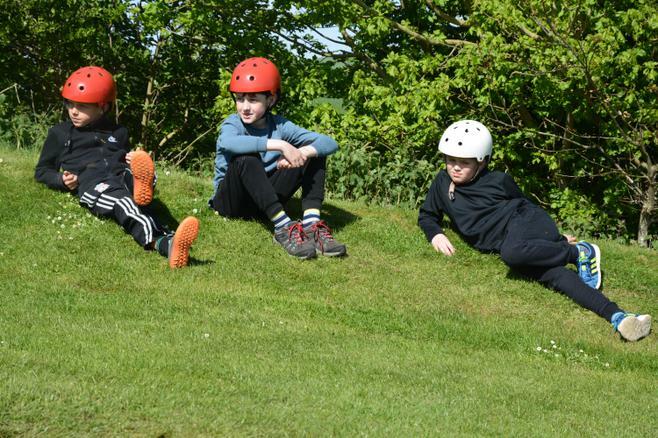 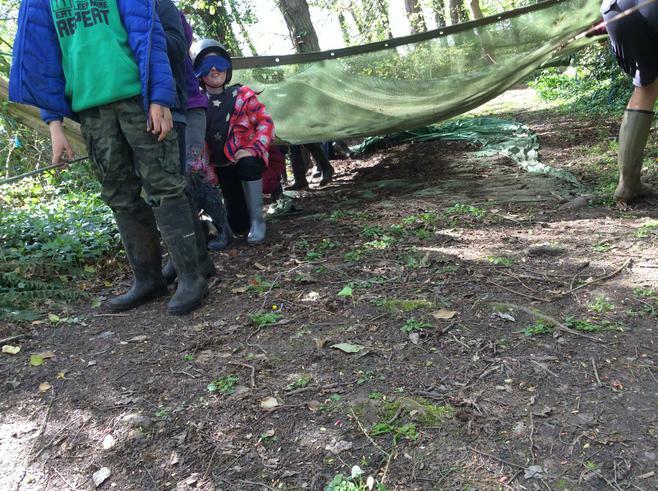 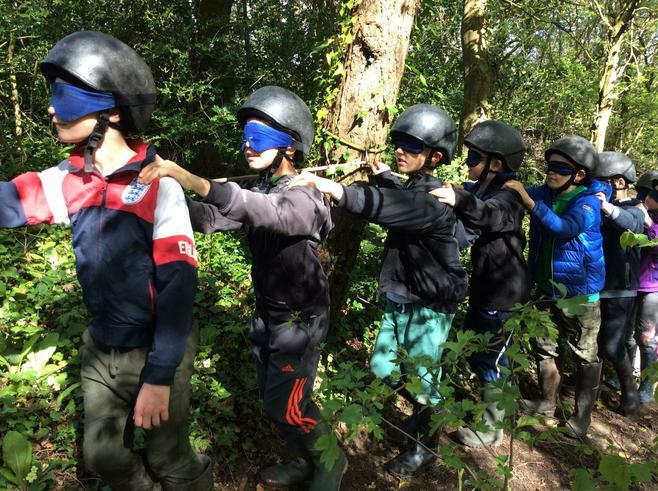 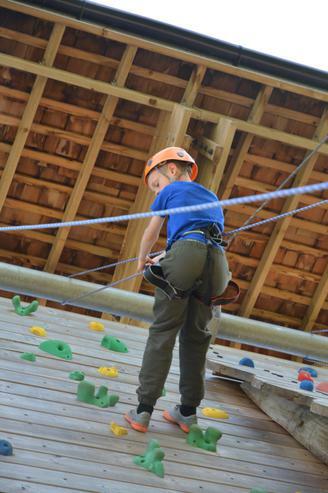 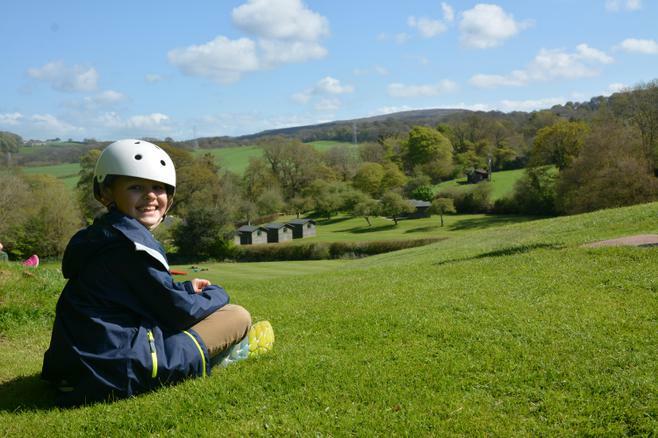 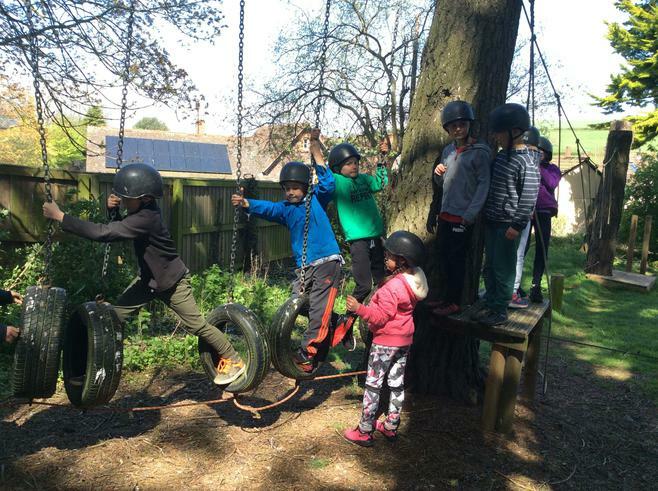 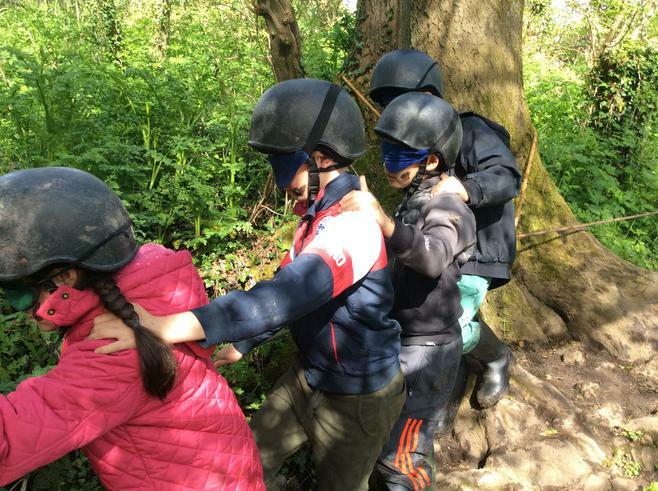 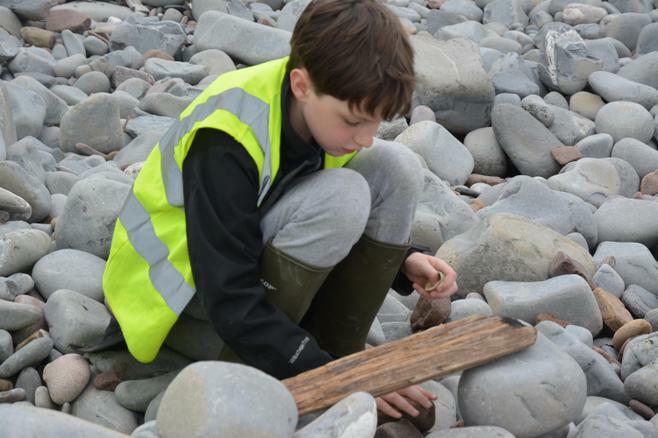 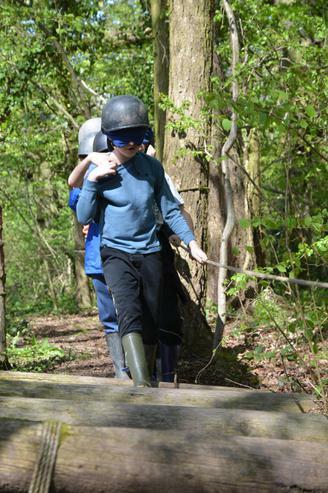 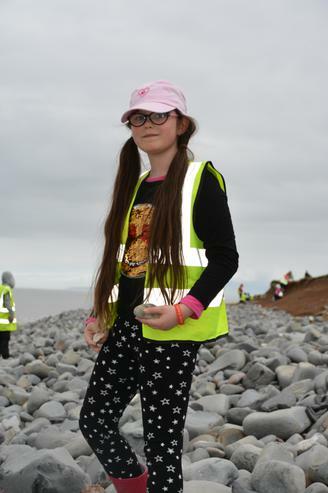 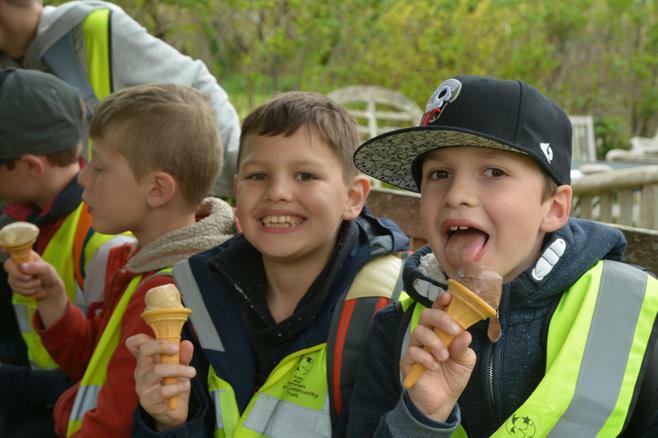 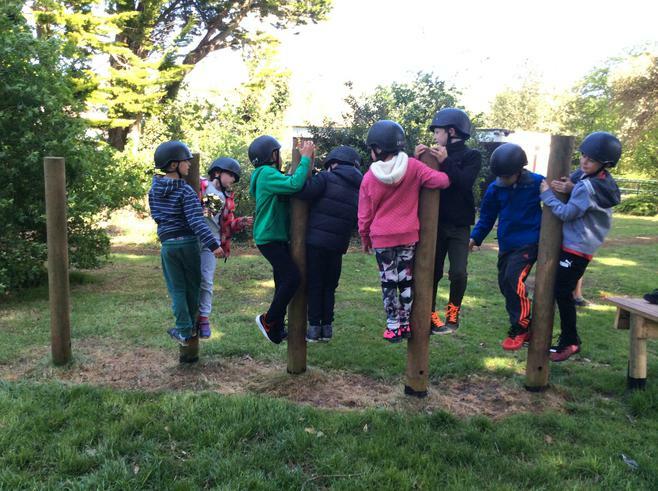 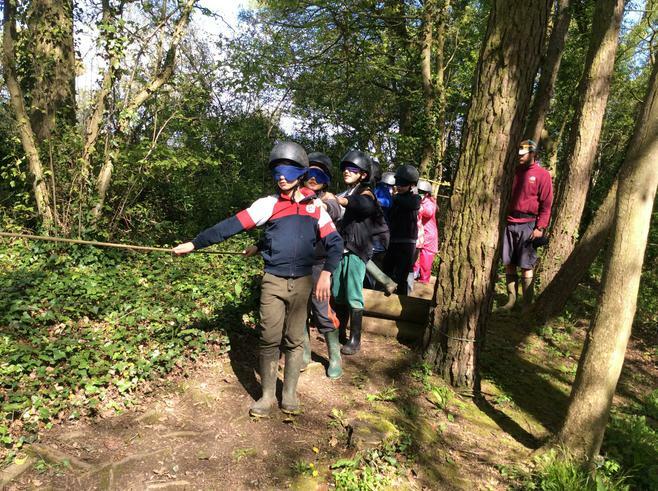 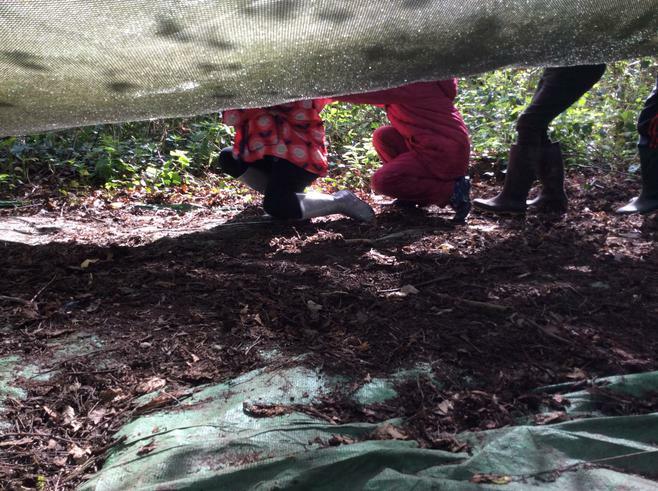 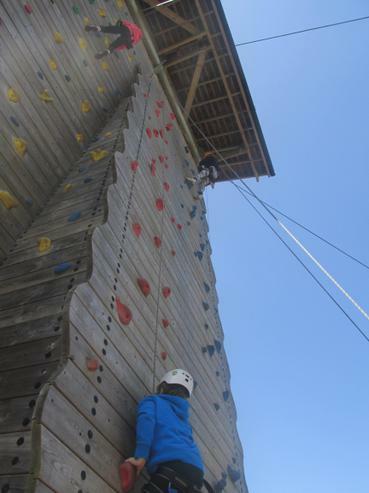 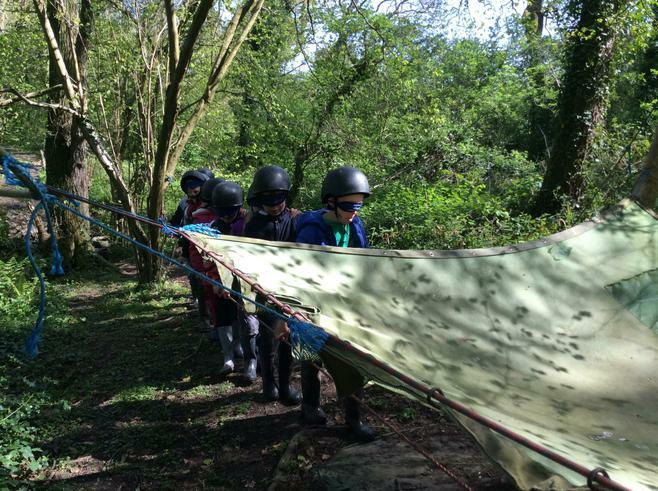 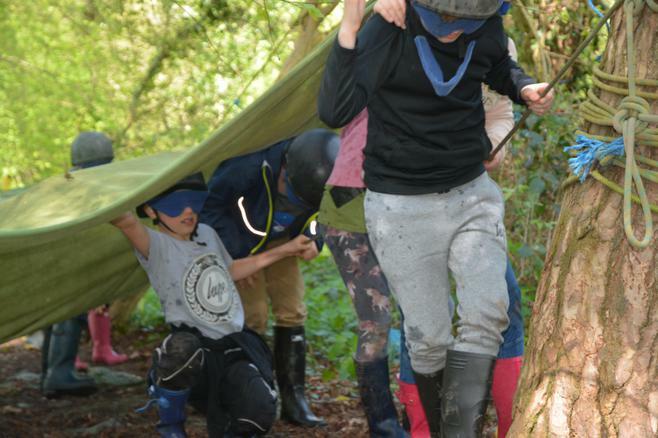 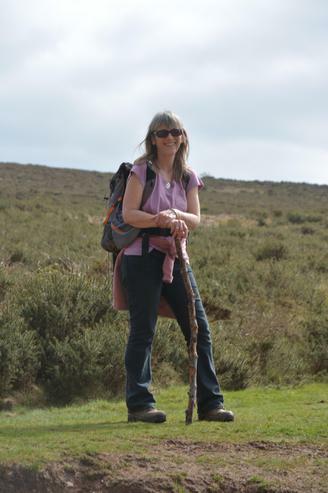 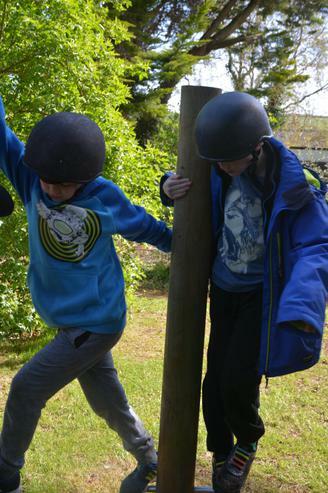 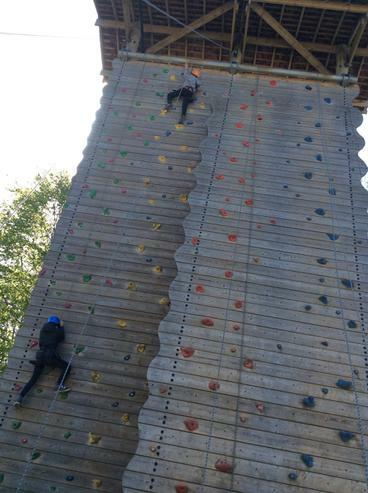 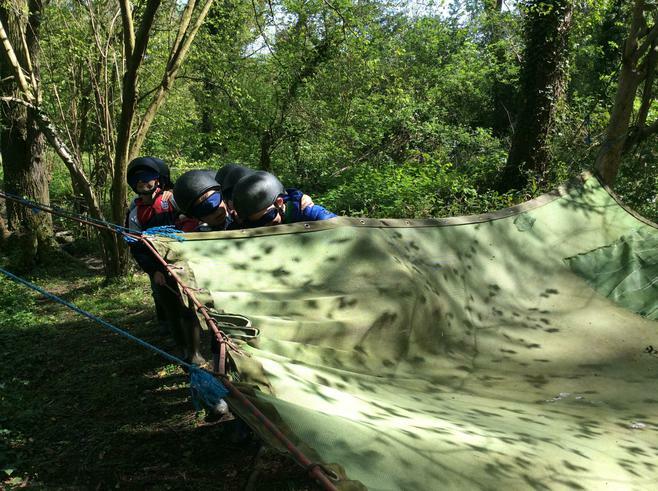 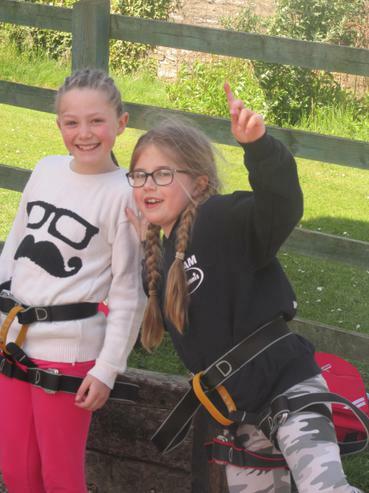 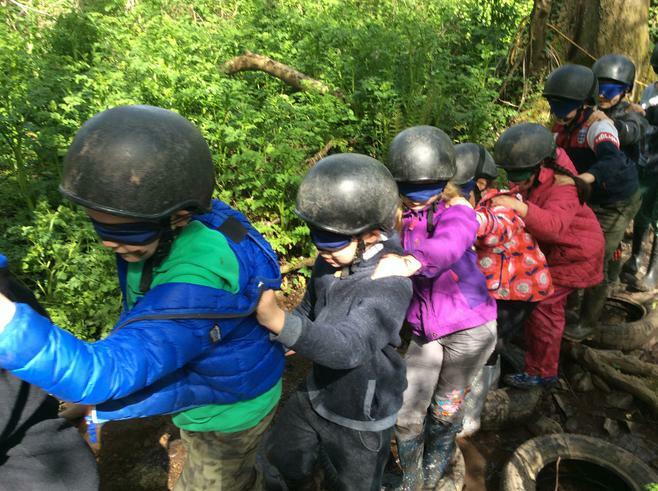 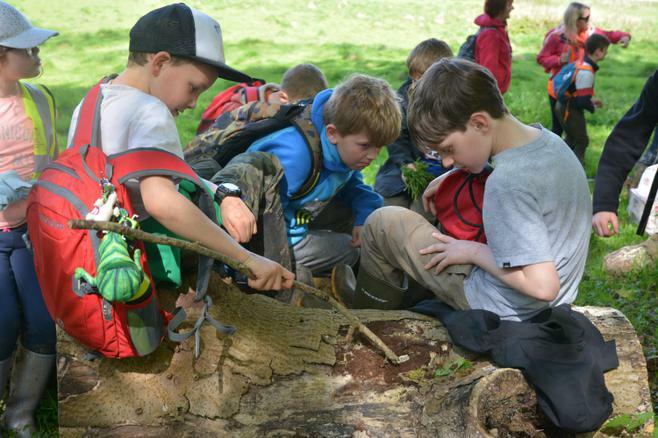 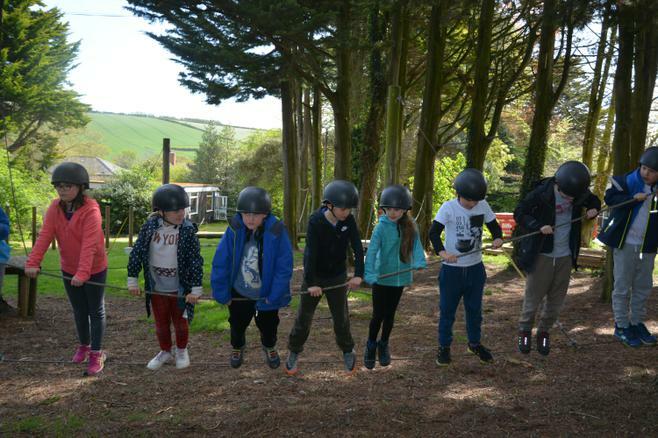 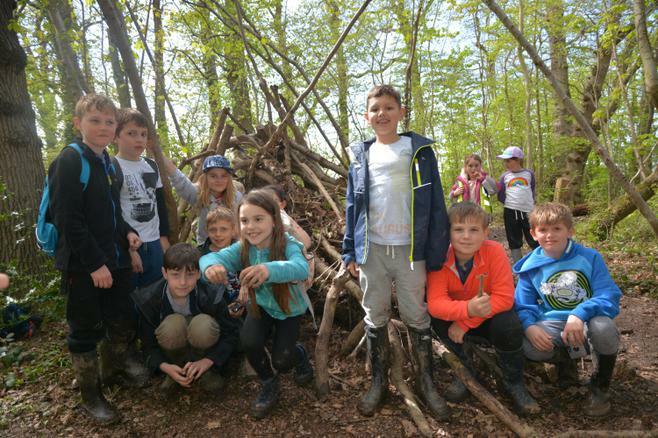 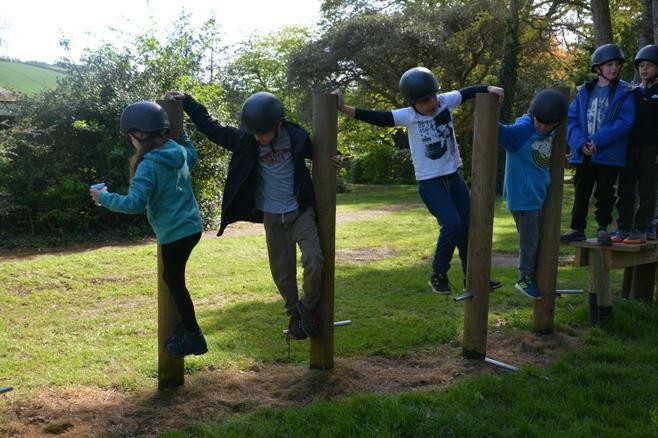 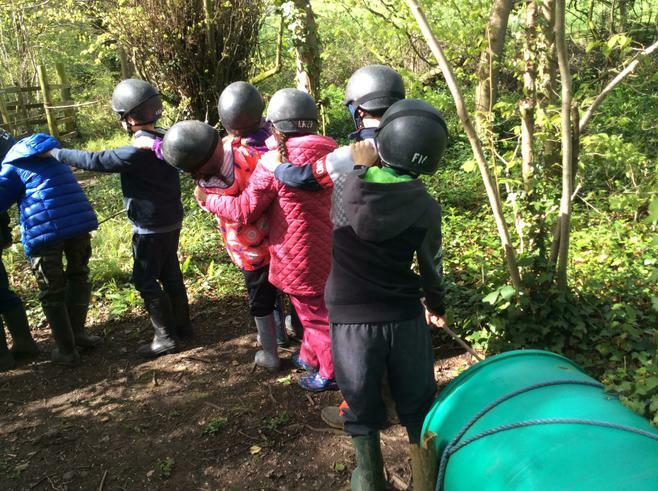 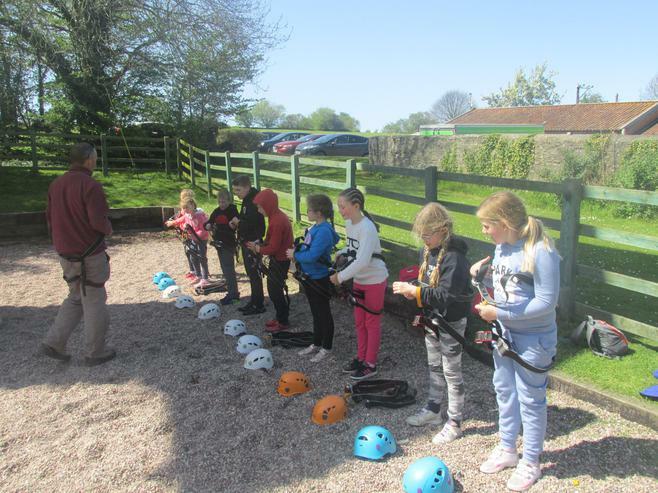 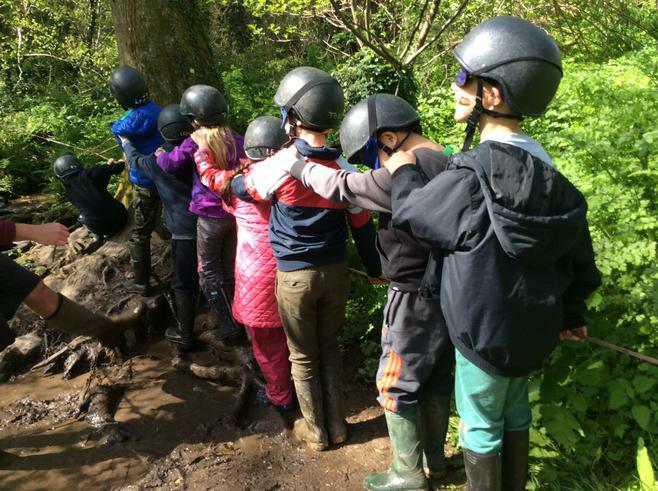 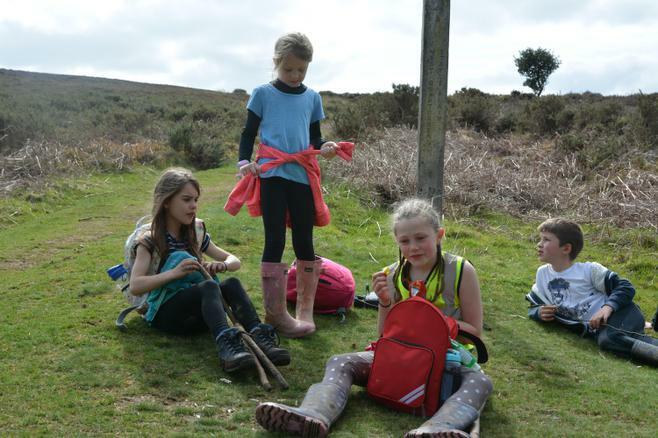 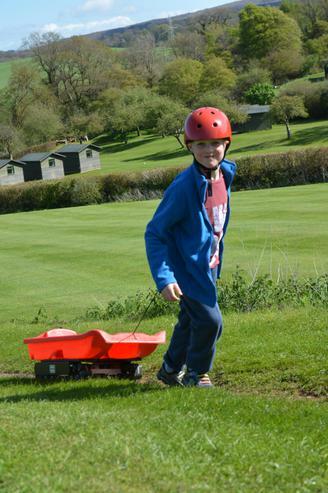 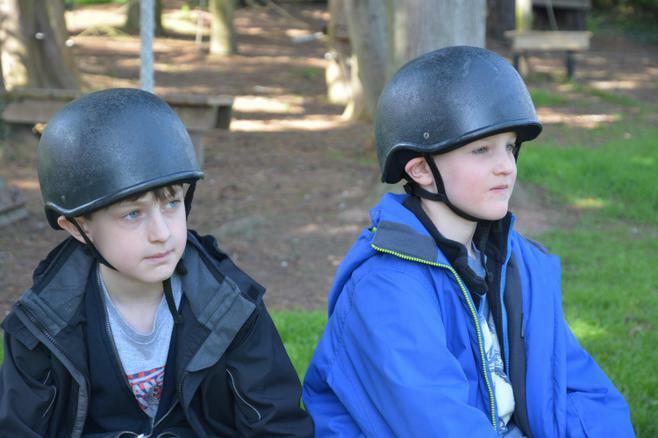 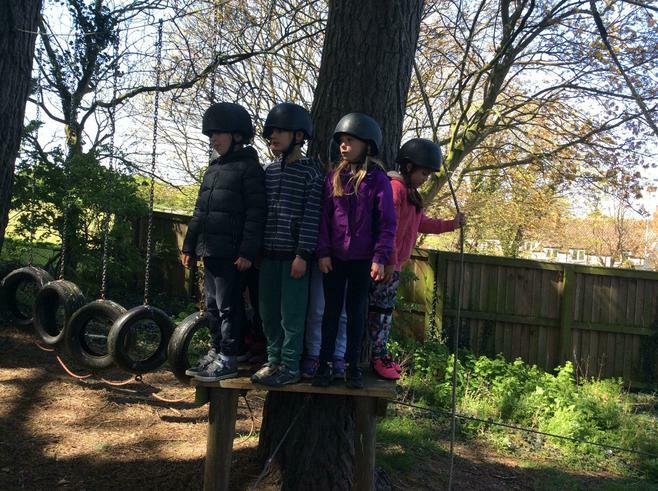 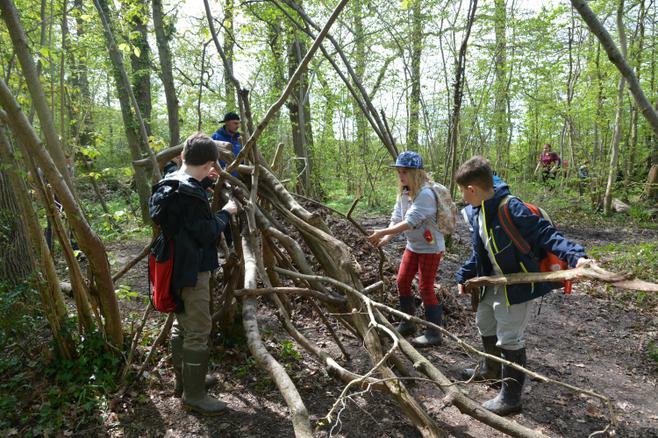 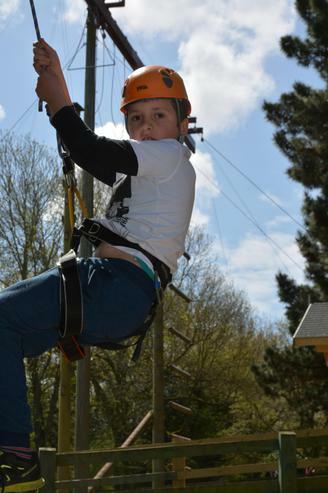 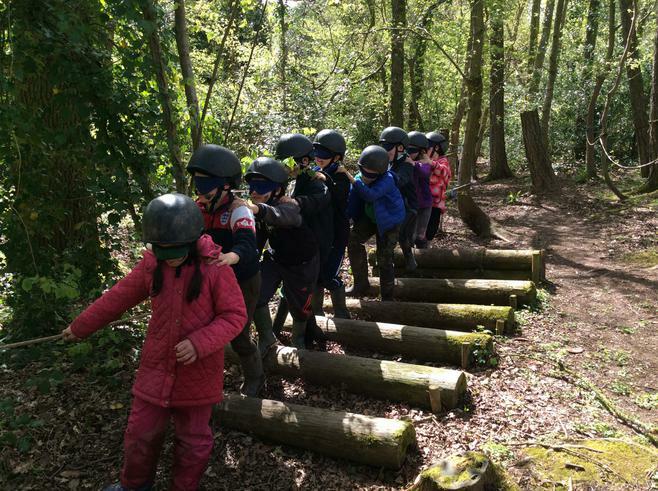 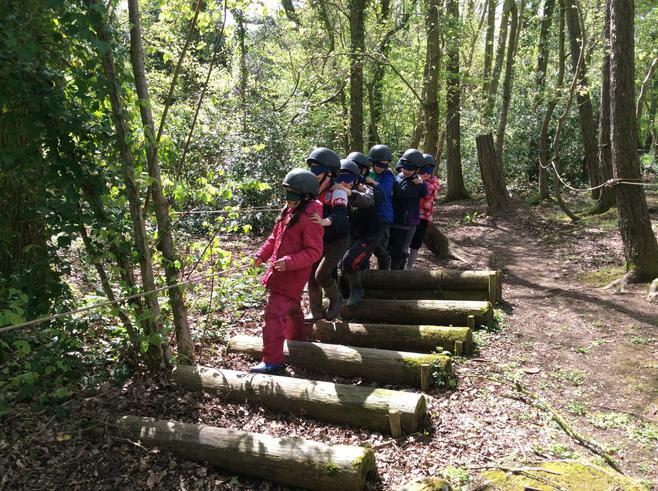 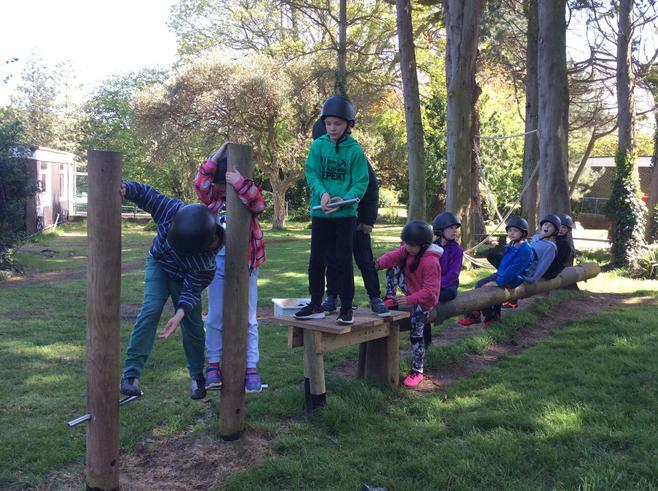 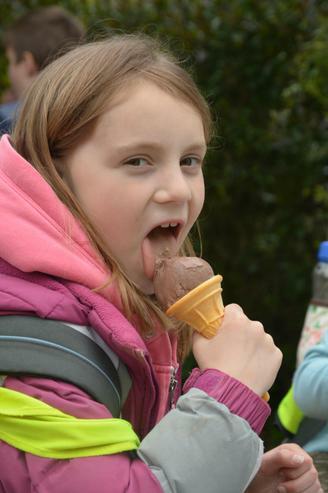 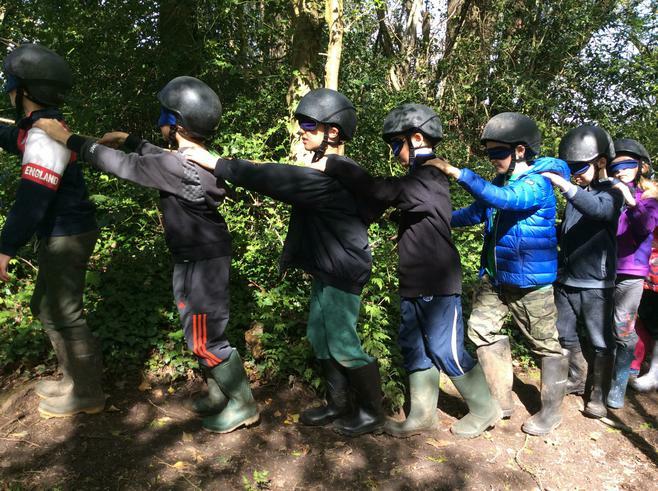 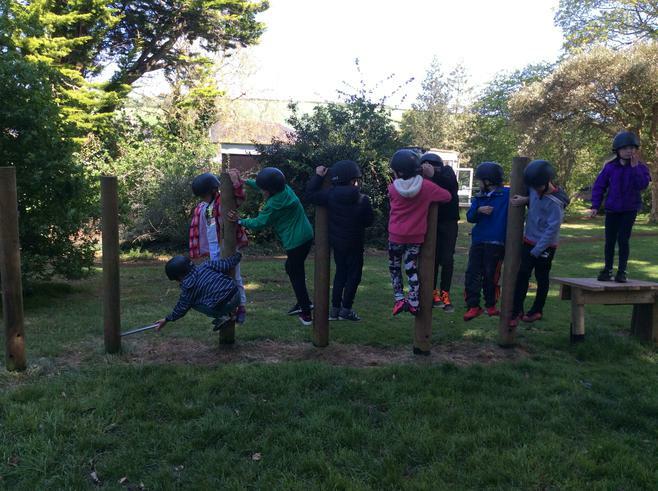 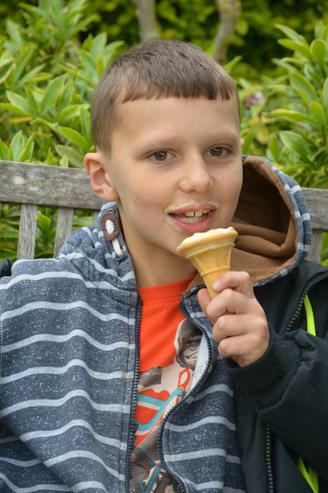 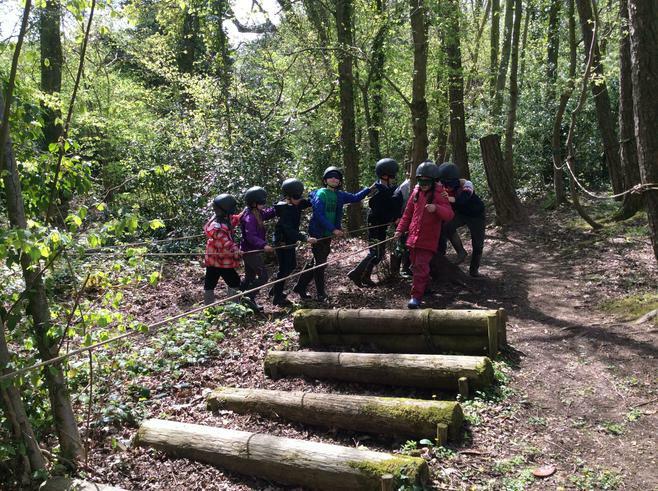 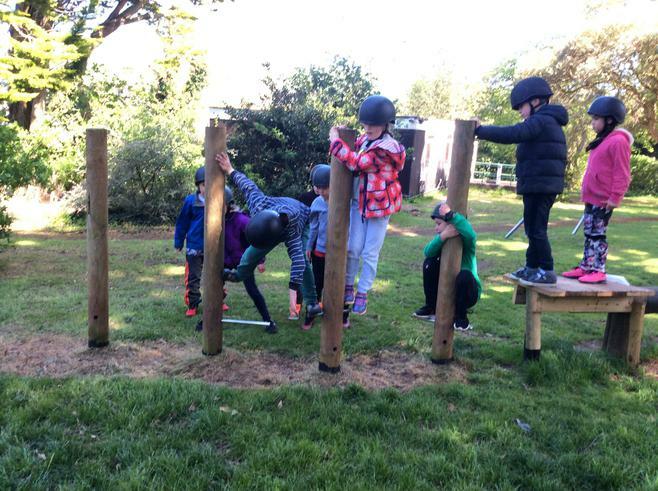 They had a wonderful time challenging themselves with activities such as the climbing wall, grass sledging, the maze, low ropes course, a blindfolded 'fantasy trail', walking on the Quantocks and shelter building, a night walk and a trip to the beach to hunt for fossils. 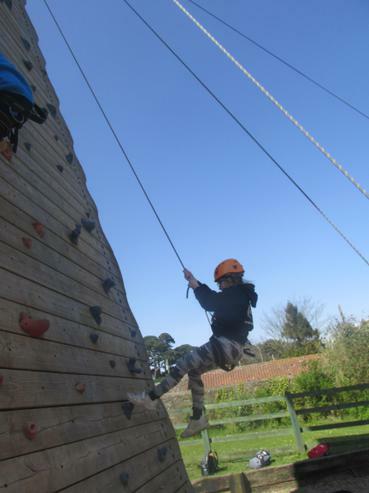 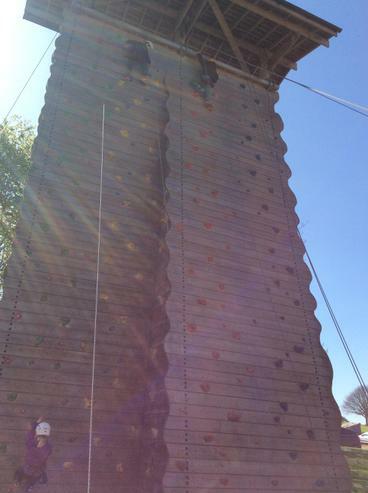 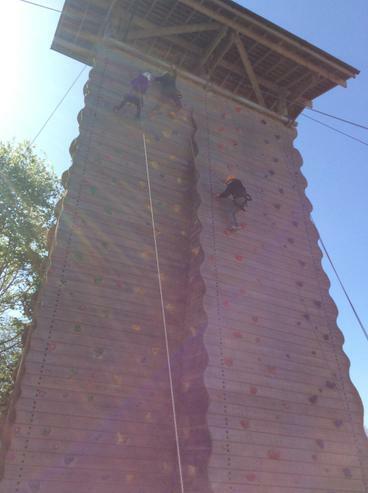 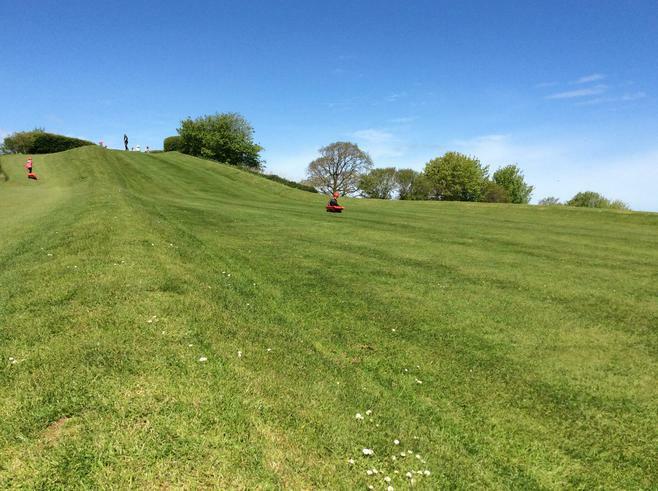 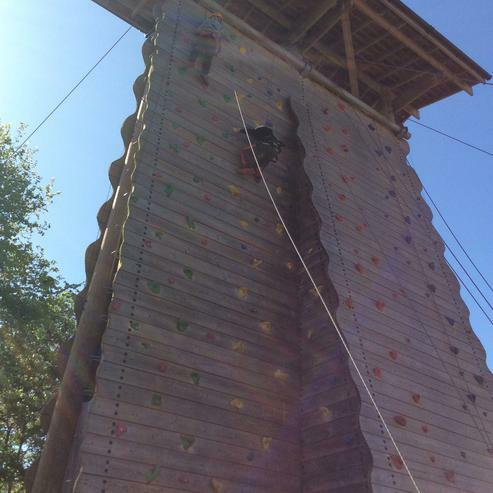 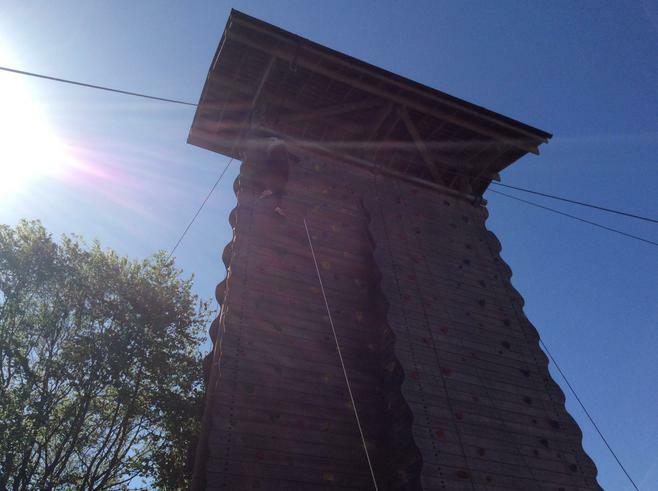 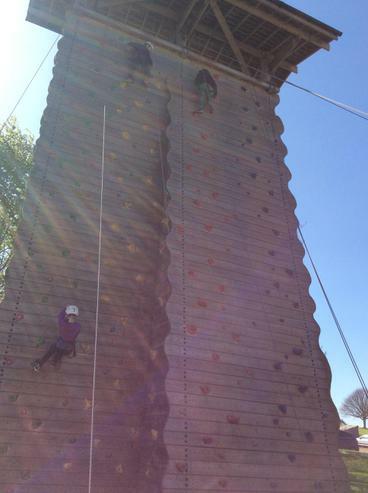 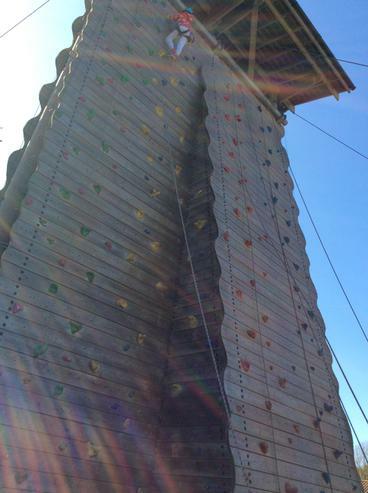 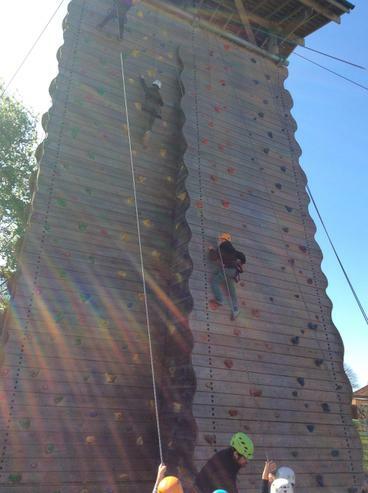 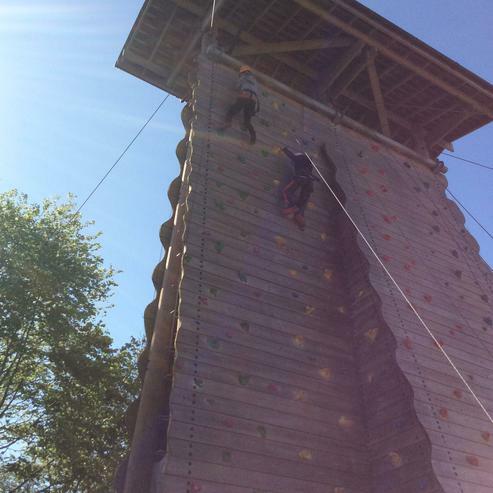 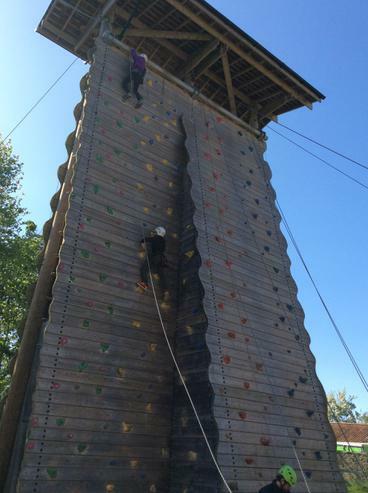 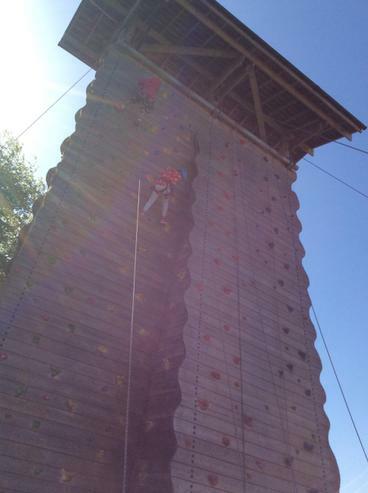 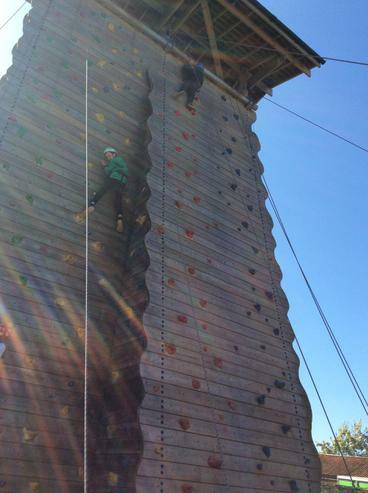 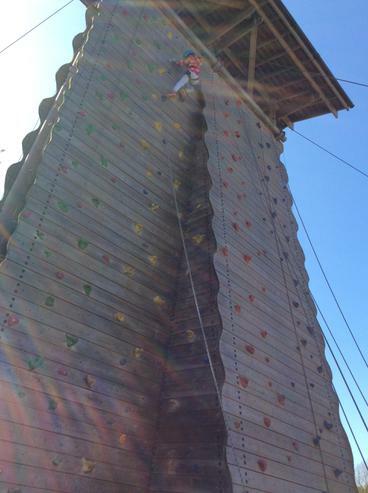 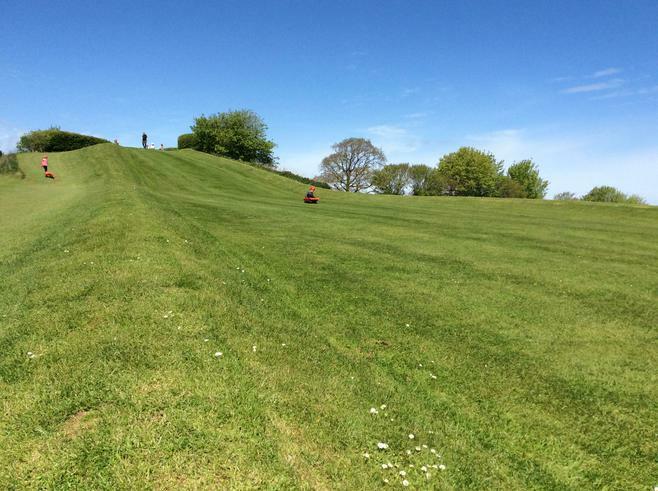 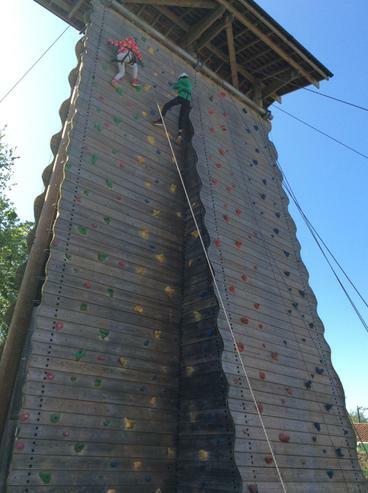 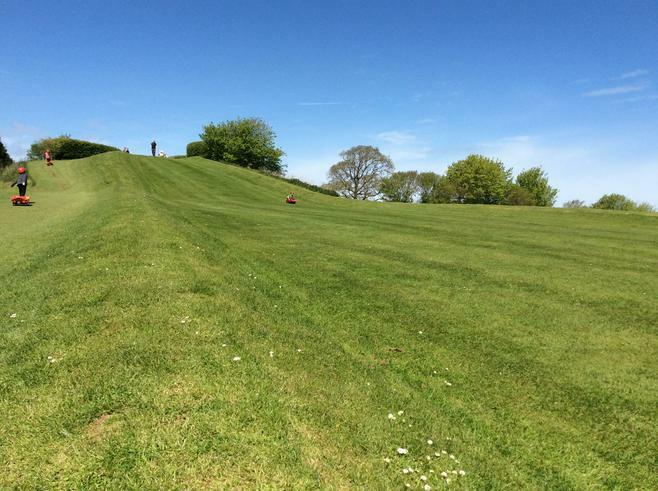 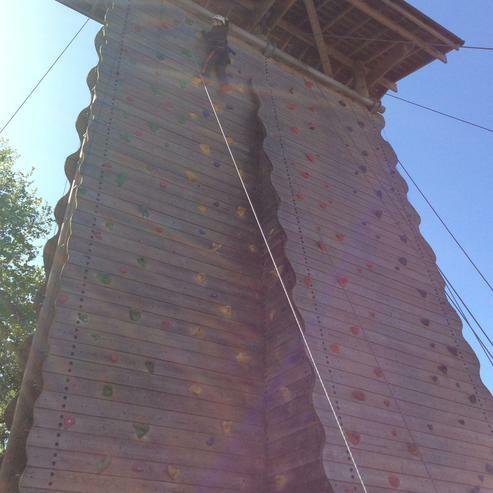 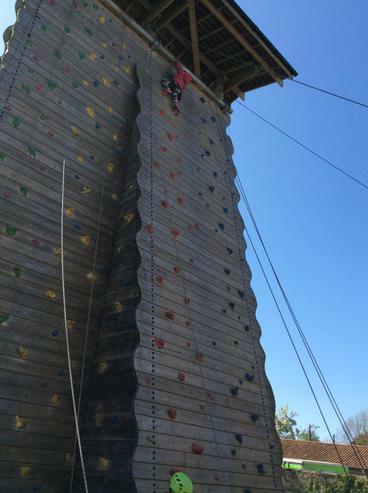 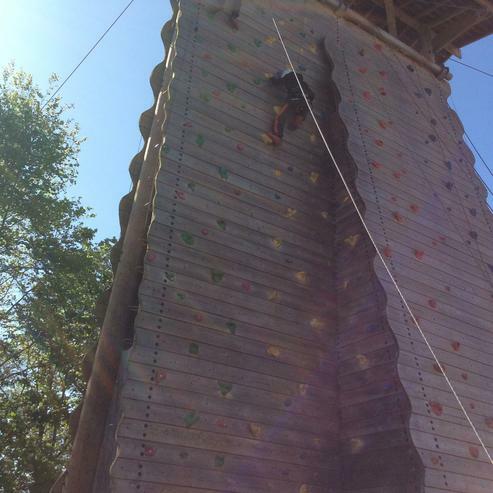 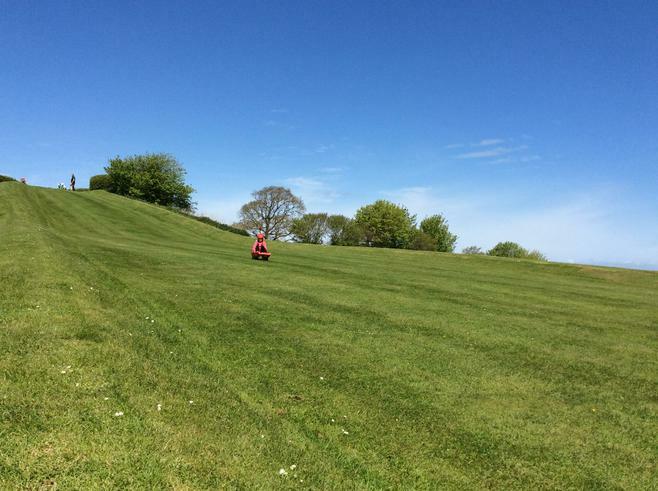 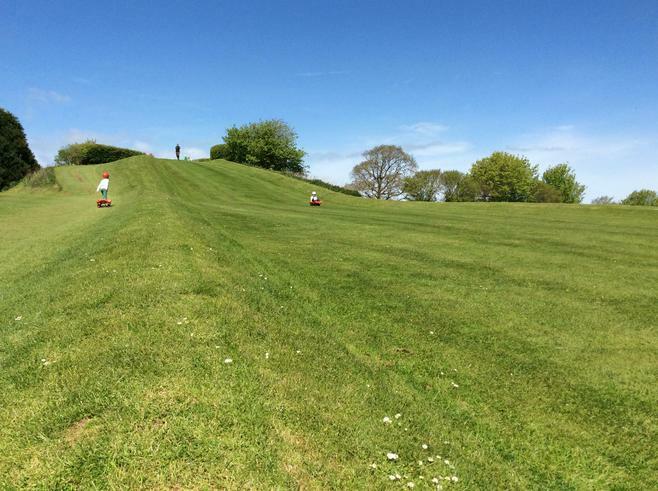 The weather was beautifully sunny and a super time was had by all the staff and children. 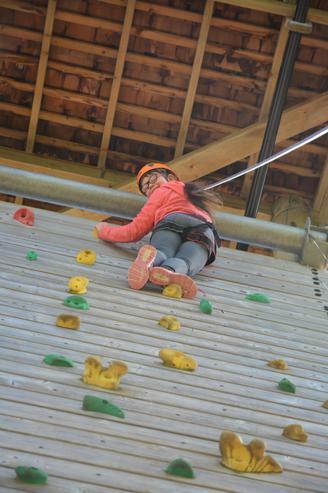 Please enjoy our photographs!